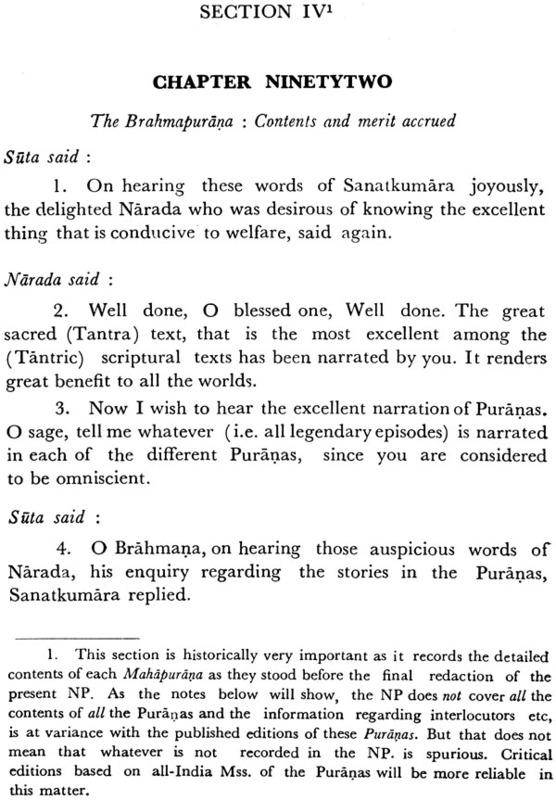 The present volume contains the Narada Purana, Part I (Chapters 1-38) completing the first-two sections (Prakriya and Anuanga) of the text in English Translation. 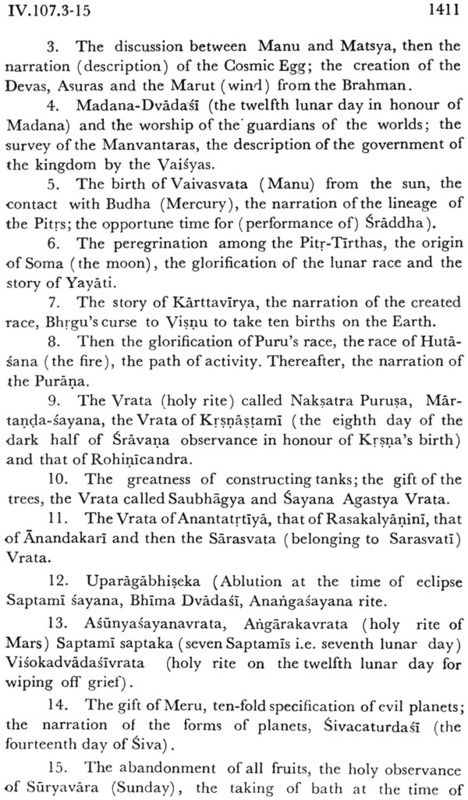 This is the Twenty-second volume in the series which we have planned on Ancient Indian Tradition and Mythology. The present volume like all other volumes is encyclopedic in character. 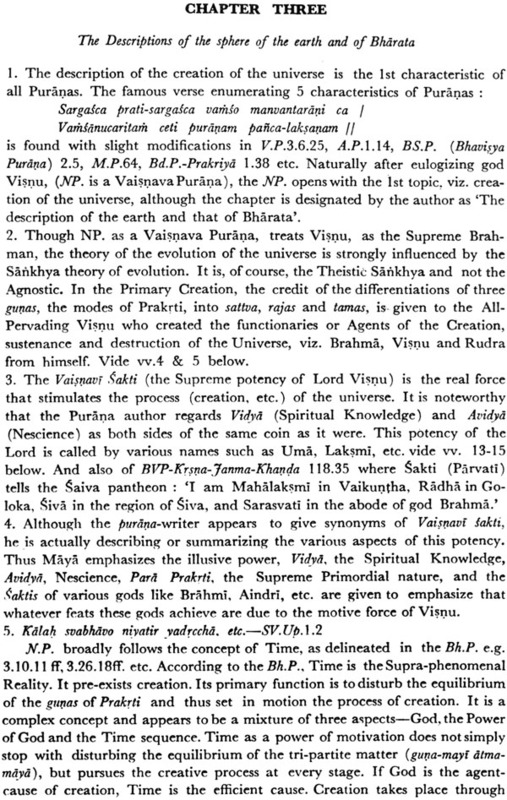 It deals with miscellaneous topics such as religion philosophy Veda and its ancillaries Siksa, Kalpa, Vyakarana, Nirukta, Chandas and Jyotisa. 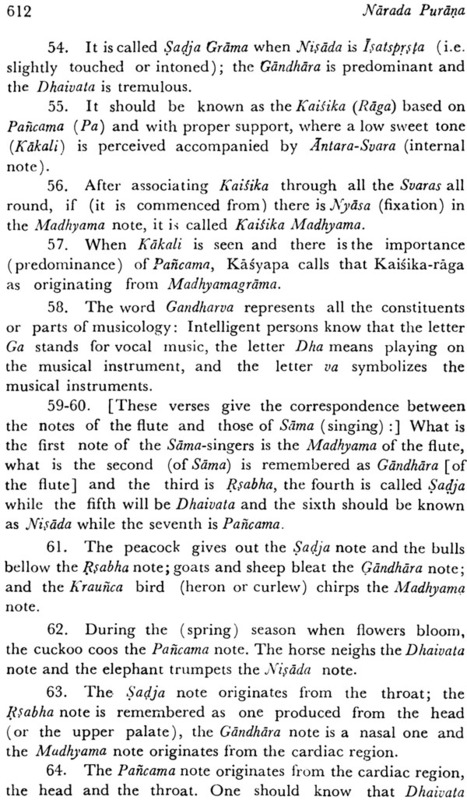 In siksa it describes the rules of pronunciation of Vedic and classical Sanskrit and the rules regarding music. 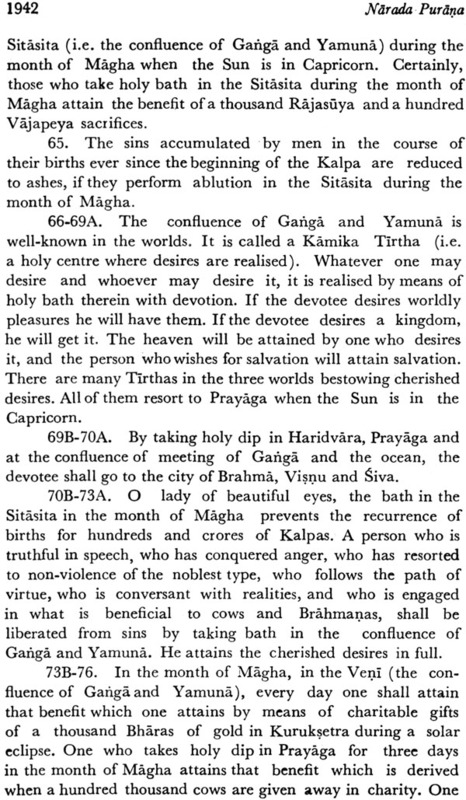 In Kalpa it deals with the Naksatra, Veda, Samhita, Angirasa and Santi Kalpas. 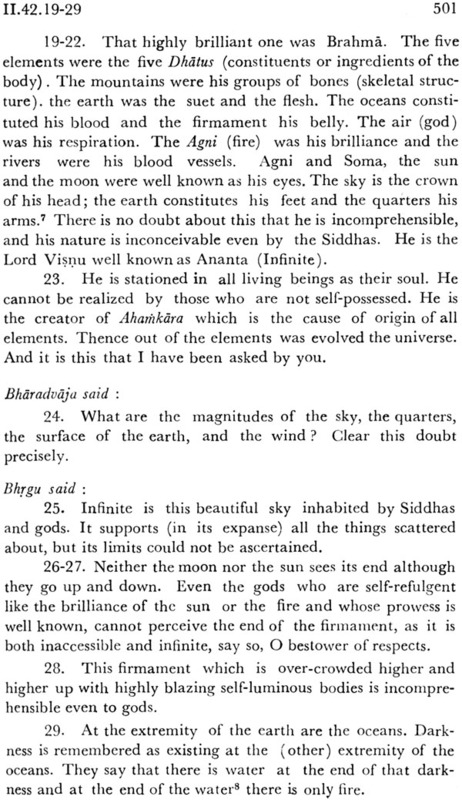 In Vyakarna it gives a general idea of the subject. 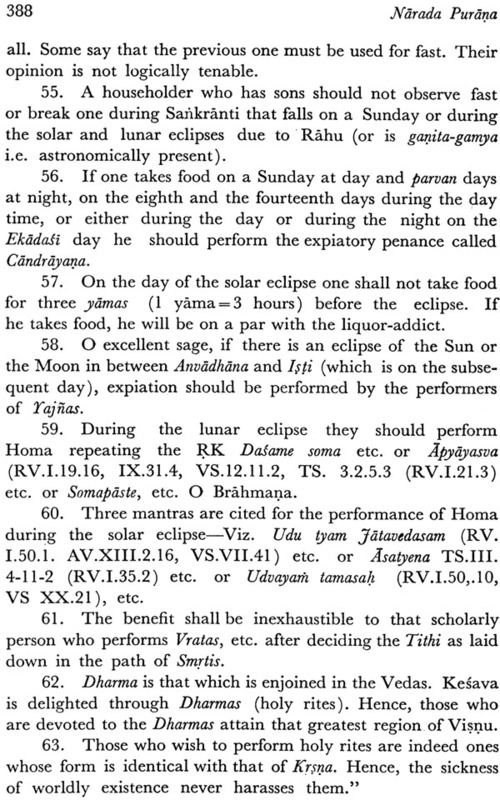 In Chandas it prescribes rules for Sanskrit and Prakrtra, Vedic and classical metres by the method of Prastara. 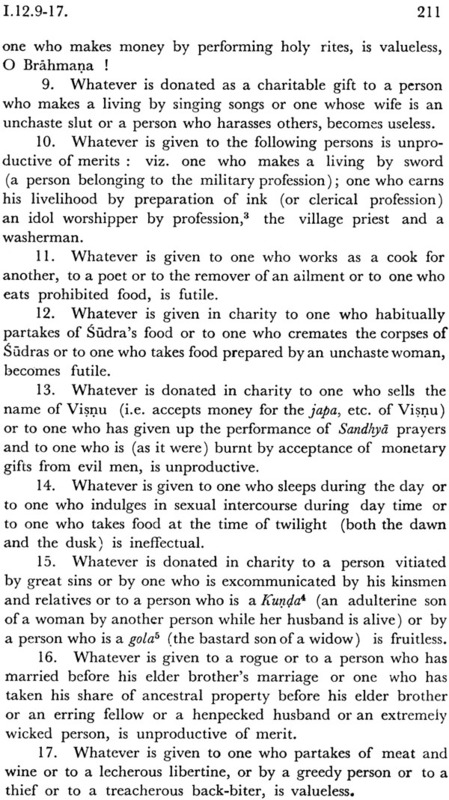 In Jyotisa it explains the essentials in detail. 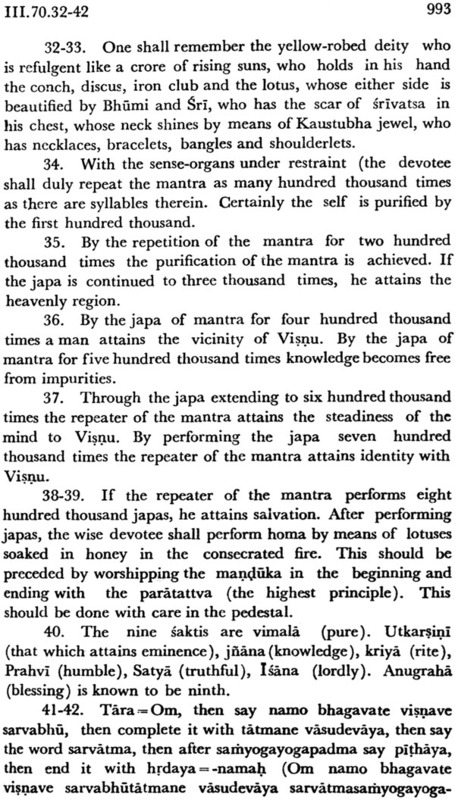 While dealing with the Puranas it describes the contents of the Puranas which help us to ascertain the interpolations of the later period. 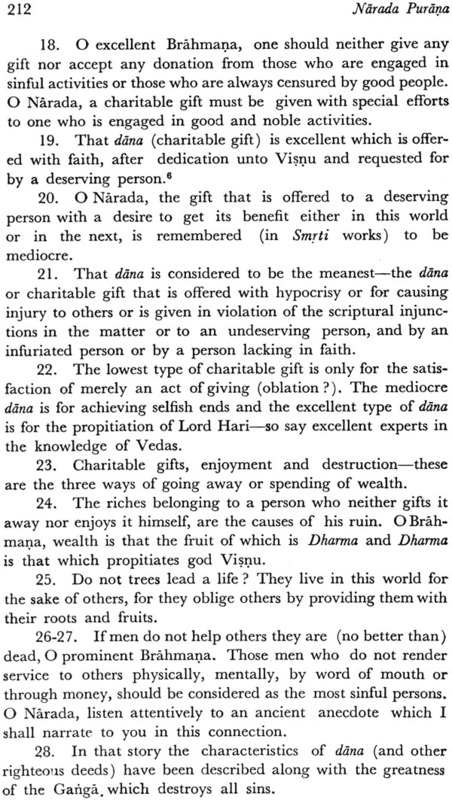 Among the general topics it describes Vratas and Tirthas in details and exhaustively. 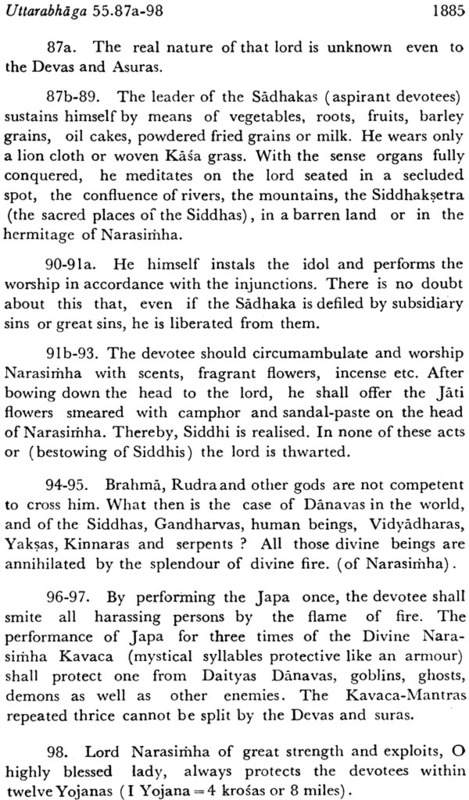 In the sectarian grouping of the Puranas the Narada Purana is classified as a Vaisnava Purana on the basis of the fact that among the deities glorified in this Purana, Visnu holds the supreme position, though laudatory references to other deities siva, Sakti, etc. are also made. 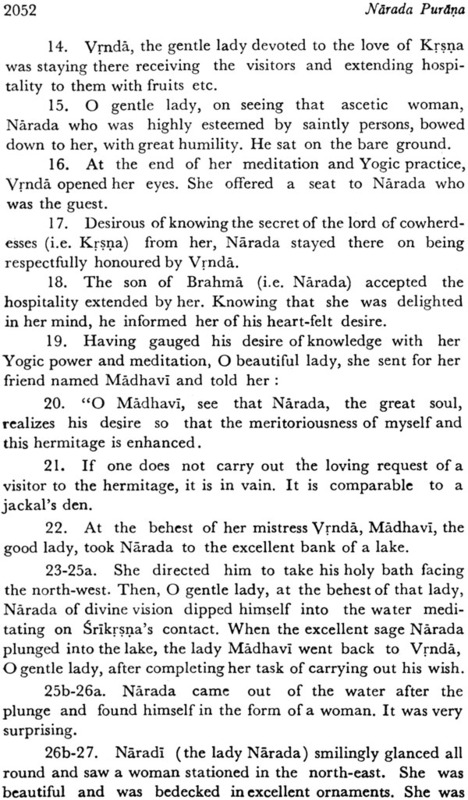 In his obvious partiality for Vaisnavism Narada gives special treatment to Radha and Krsna even prescribes a hymn of 1000 names in their eulogy and proclaims special importance of Ekadasi Vrata in honor of Visnu. He is the first to mention Rama Krsna Nrsimha and other incarnations in connection with Tantric practices. The variety of topics is very interesting but it is marred as sometimes it is couched in expression that needs elucidation a task which could not be accomplished by a more translation. 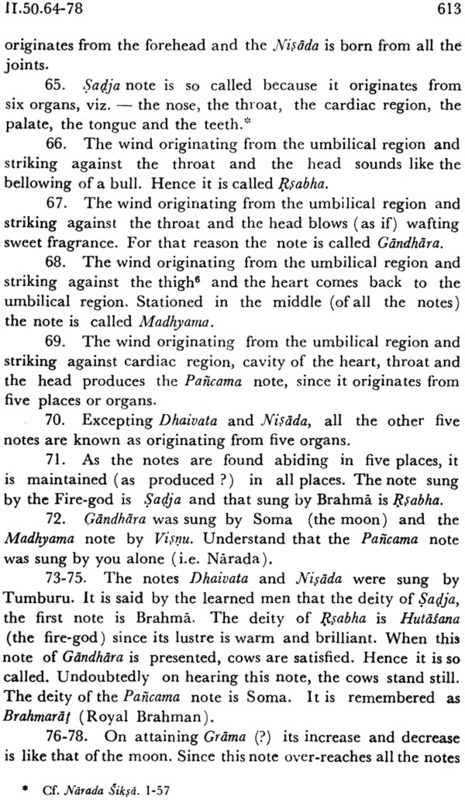 Hence a provision has been made for the notes which are attached to each chapter separately and not put at the foot of a page as has been the practice hitherto. We hope the reader will not feel embarrassed by this shift. 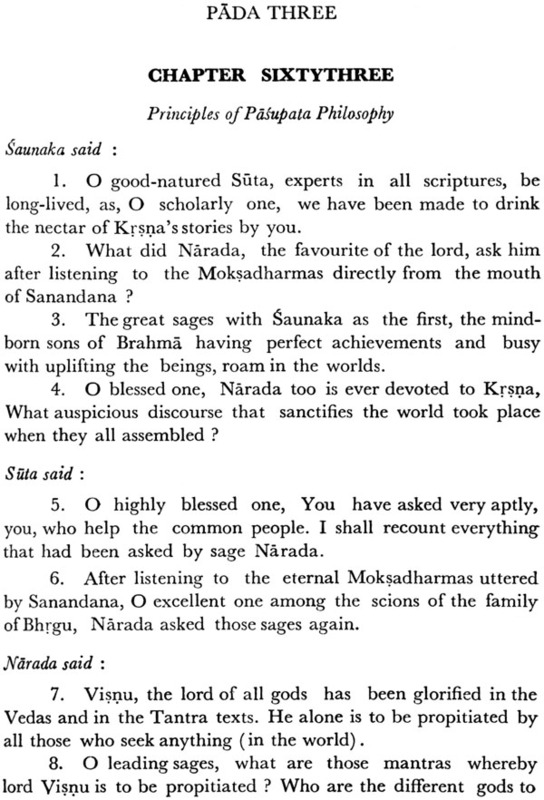 The translation is based on the Sanskrit text of the Narada Purana published by Messrs Ksemaraja, Srikrsnadasa, Venkatesvara press, Bombay this text constructed on the collation of mss and supported by the evidence of citations found in the smrti granthas is fairly accurate. 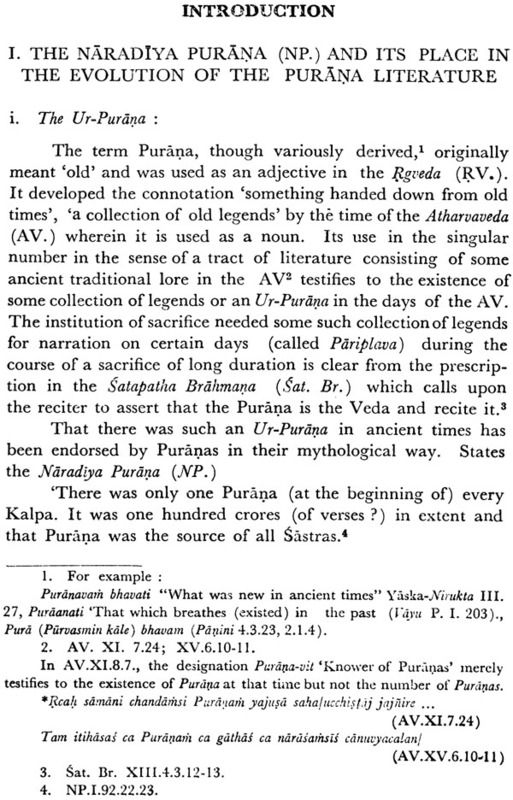 The term Purana though variously derived originally meant old and was used as an adjective in the Rgveda. 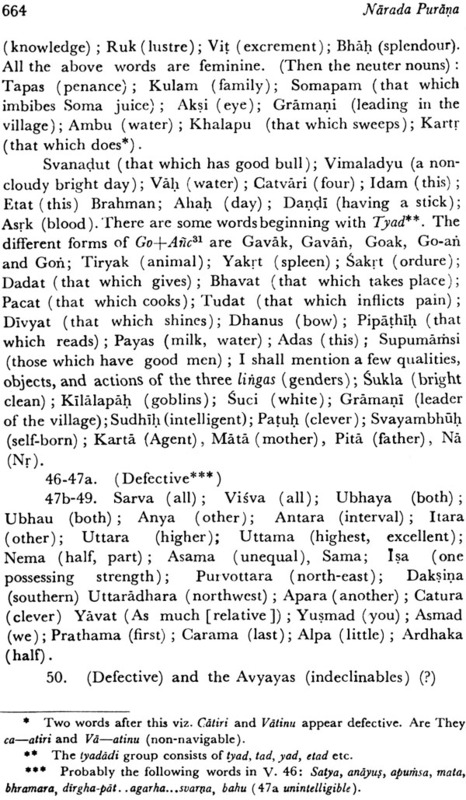 It developed the connotation something handed down from old times a collection of old legends by the time of the Atharvaveda wherein it is used as a noun. 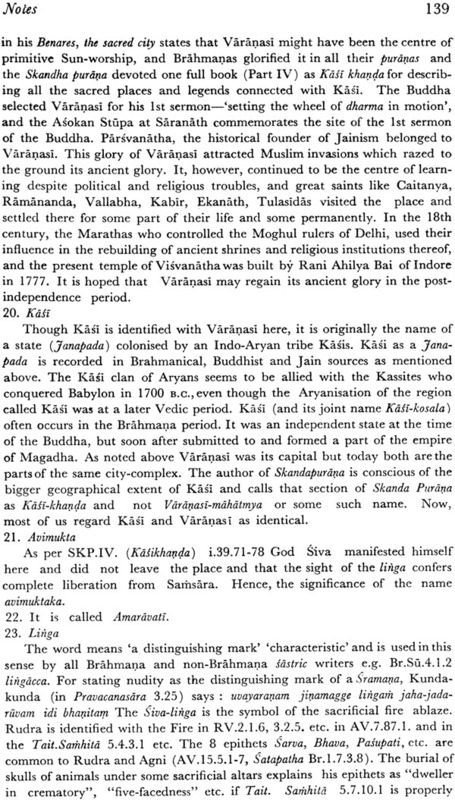 Its use in the singular number in the sence of a tract of literature consisting of some ancient traditional lore in the AV testifies to the extistence of some collection of legends or an Ur-Purana in the days of the AV. 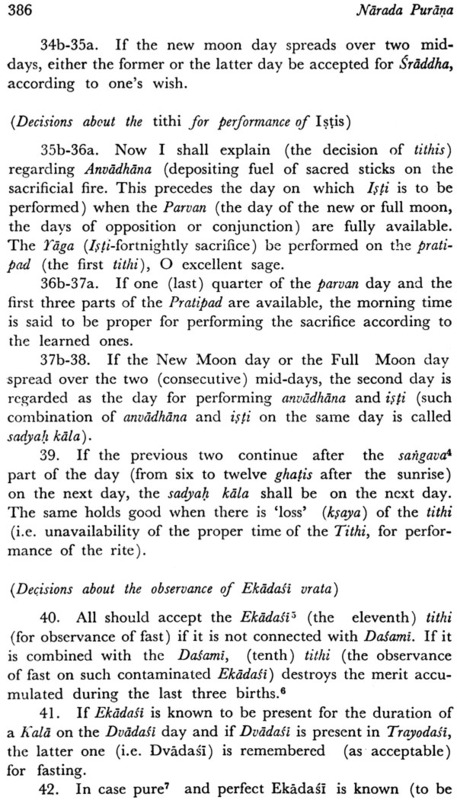 The institution of sacrifice needed some such collection of legends for narration on certain days during the course of a sacrifice of long duration is clear from the prescription in the Satapatha Brahmana which calls upon the reciter to assert that the Purana is the veda and recite it. 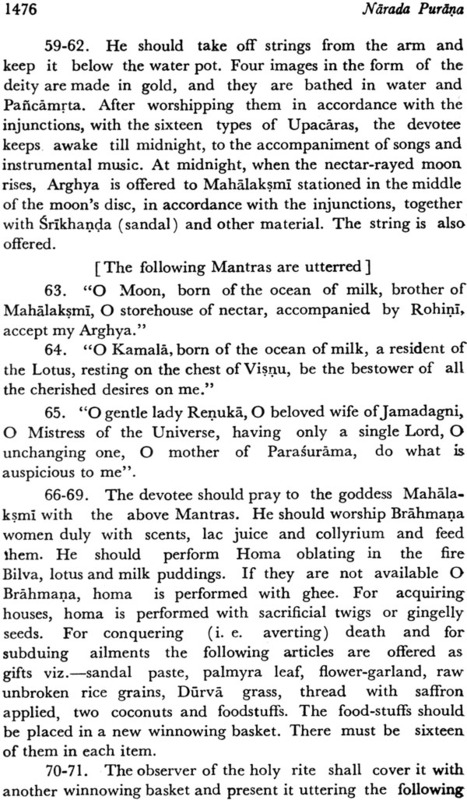 That there was such an Ur-Purana in ancient times has been endorsed by Puranas in their mythological way. 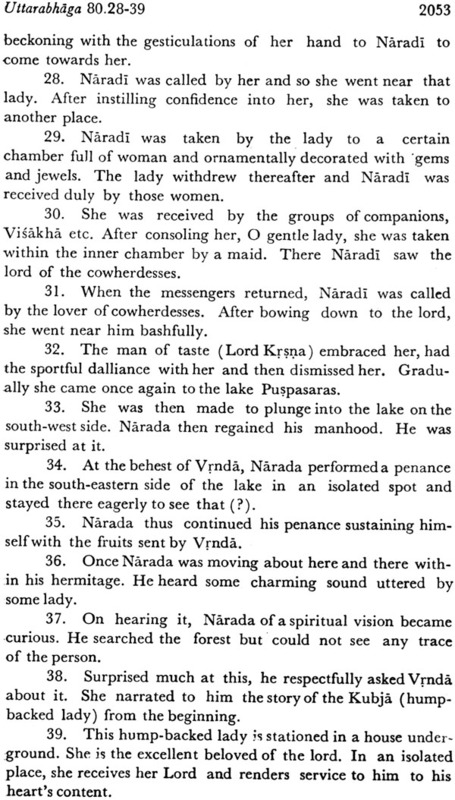 States the Naradiyas Purana. 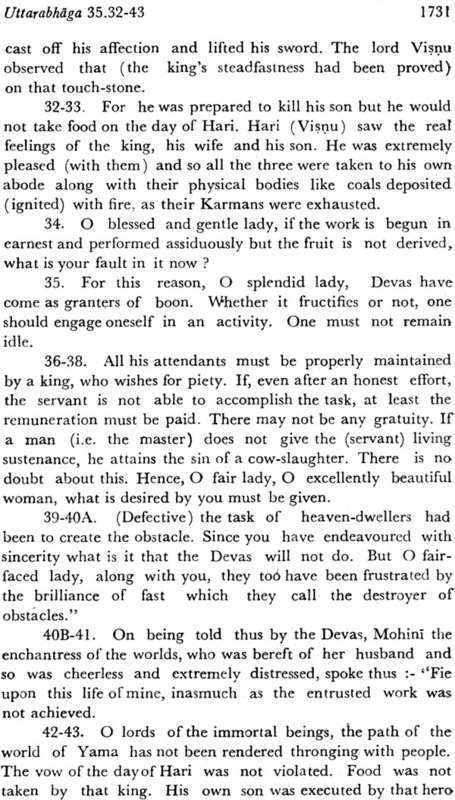 There was only one Purana every Kalpa. 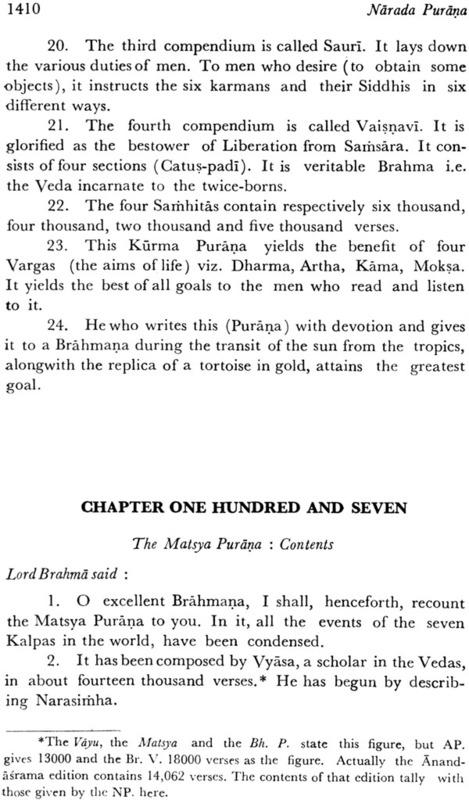 It was one hundred crores in extent and that purana was the source of all sastras. 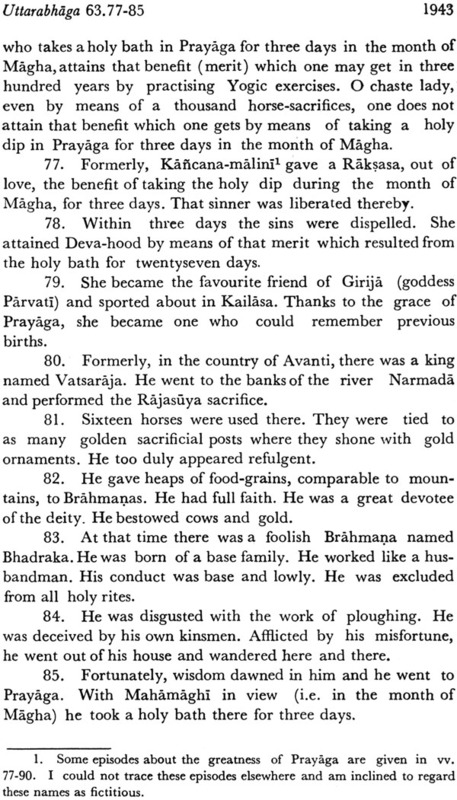 God Brahma remembered Purana before all other sastras. 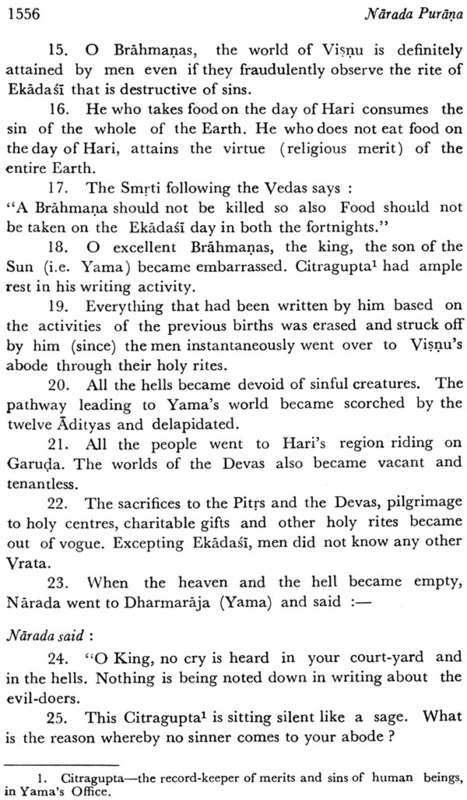 It is after that all the Vedas proceeded from his mouths Puranas was only one at the beginning. 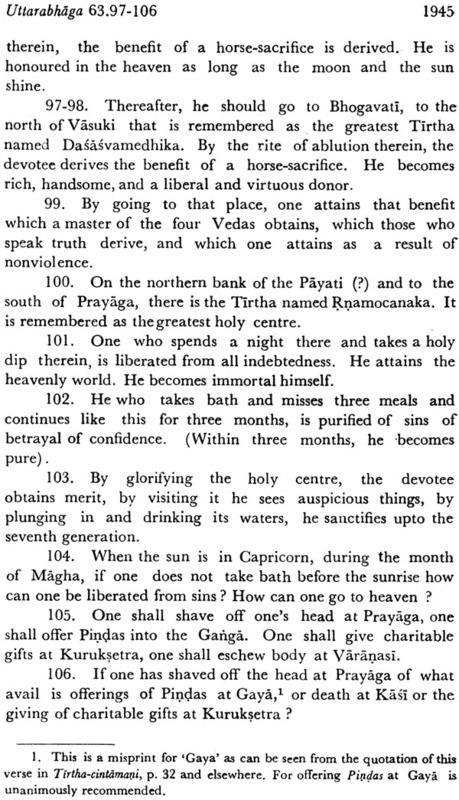 As the mention of Purana in the sg. No. 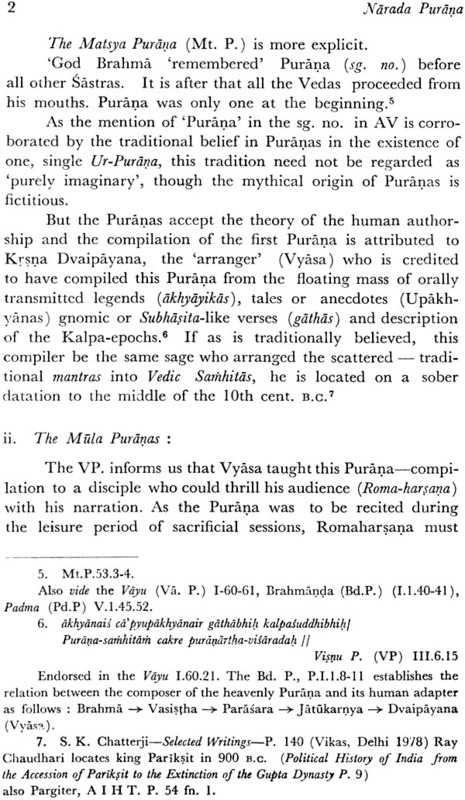 in AV is corroborated by the traditional belief in Puranas in the existence of one single Ur-Purana this tradition need not be regarded as purely imaginary though the mythical origin of Puranas is fictitious. 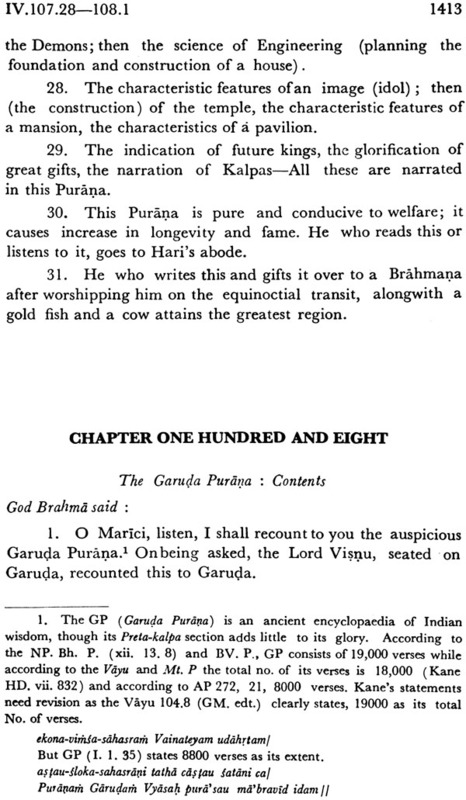 But the Puranas accept the theory of the human authorship and the compilation of the first Purana is attributed to Krsna Dvaipayana the arranger who is creadited to have compiled this Puranas from the floating mass of orally transmitted legends tales or anecodotes gnomic or Subhasita like verses and description of the Kalpa epochs. 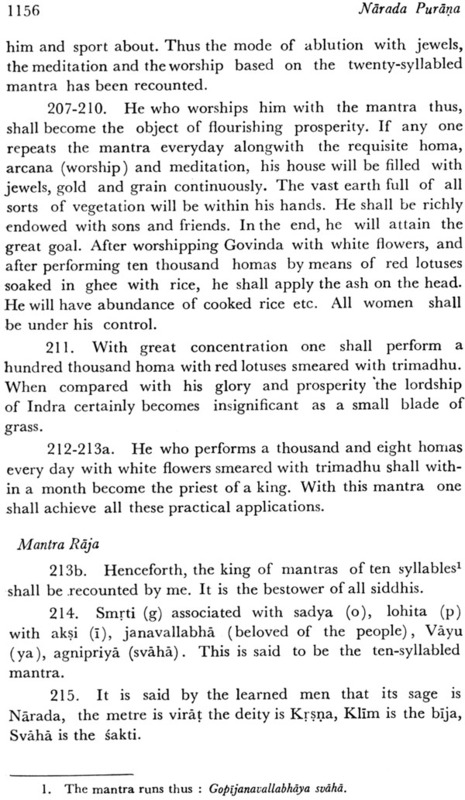 If as is traditionally believed this compiler be the same sage who arranged the scattered traditional mantras into Vedic Samhitas he is located on a sober datation to the middle of the 10th cent. B.C. 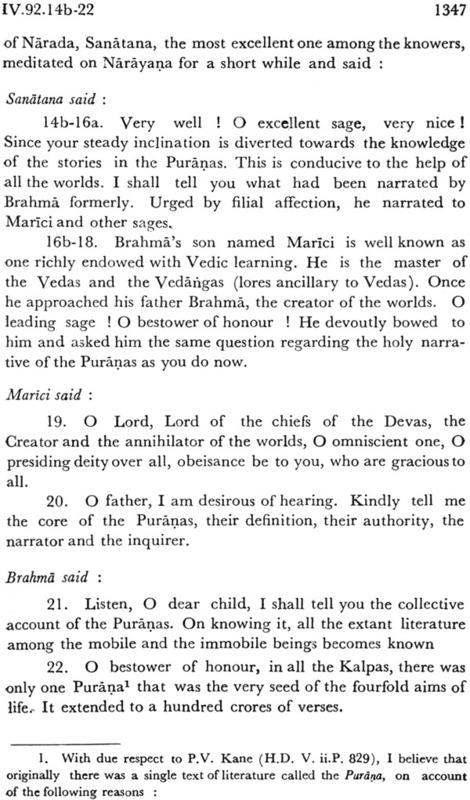 The V.P informs us that Vyasa taught this Purana compilation to a disciple who could thrill audience with his narration. 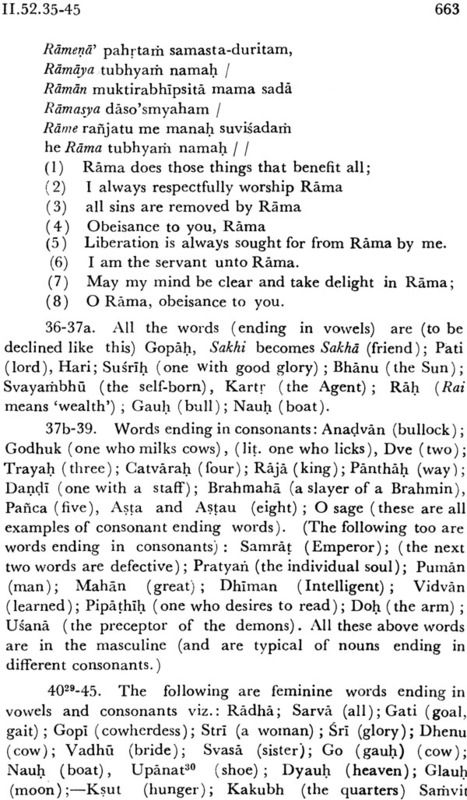 As the Purana was to be recited during the leisure period of sacrifical sessions Romaharsana must have tried to make it interesting with additions modifications etc. 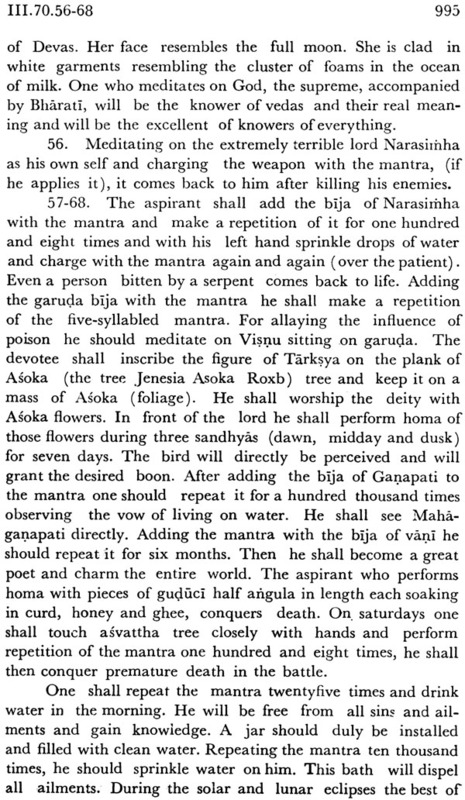 it thus became a revised and enlarged edition of Vyasa’s Purana and this came to be looked upon as an independent Purana. 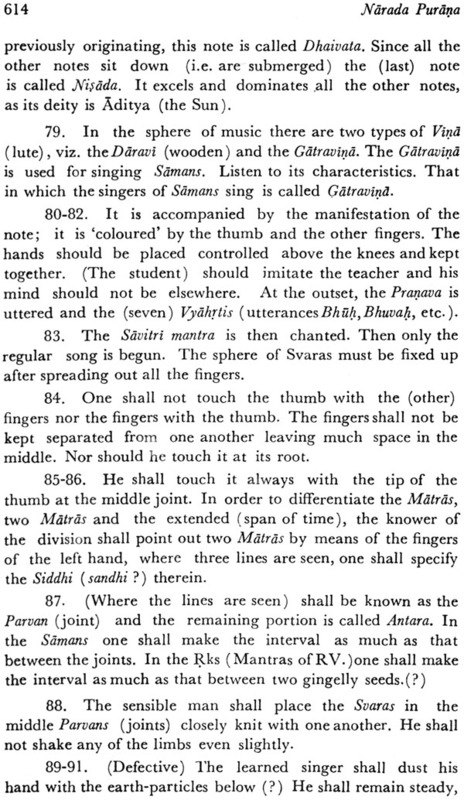 Romaharsana taught it to his disciples out of whom Akrtavrana of Kasyapa gotra Savarni of Somadatta élan and Susarma of Samsapayana gotra composed their own Purana samhitas. 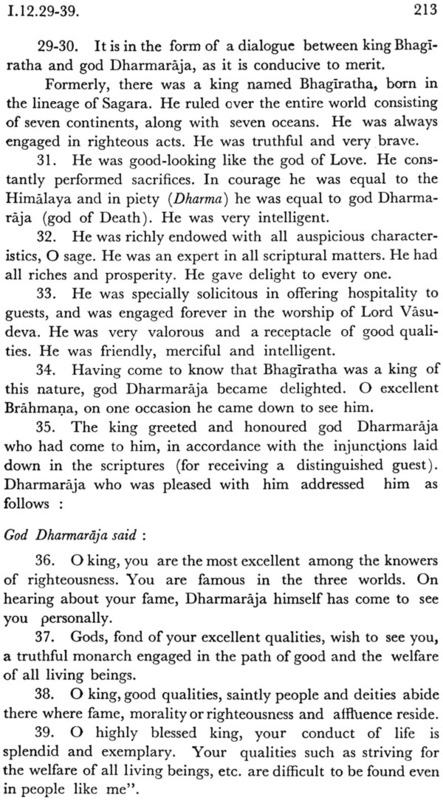 Thus the Purana Samhita of Vyasa Proliferated into four samhitas that o Romaharasana which through his son Ugrasravas continued independently and the three ones revised by this three disciples mentioned above. 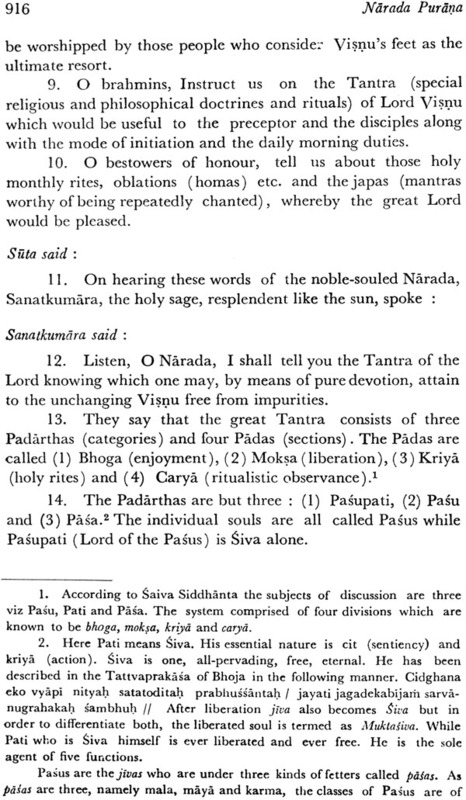 The four Samhitas were the basic ones Purva Samhita or Mula Samhita or adi prans the Vayu tells us that all these Samhitas consisted of four parts they dealt with the same subject matter but were distinguished from one another in readings. 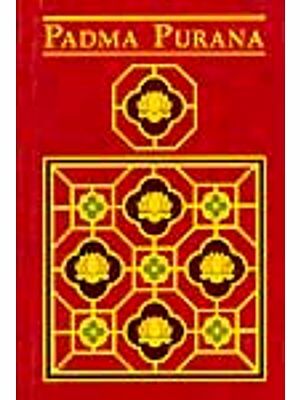 All of them consisted of 4000 verses except that of Susaram which consisted of 8600 verses. 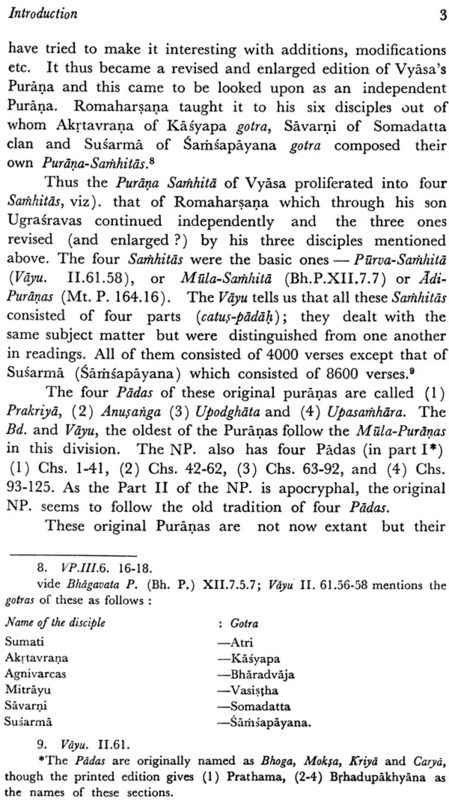 These original Puranas are not now extant but their authors Romaharsana Savarni Kasyapeya and Samsapayana are the interlocutors in various Puranas. 1. 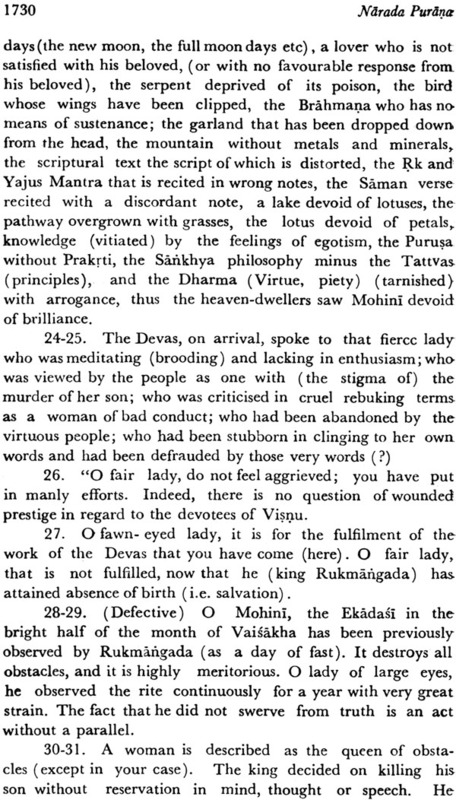 King Manu Vaivasvata and his subjects (human Beings). 2. 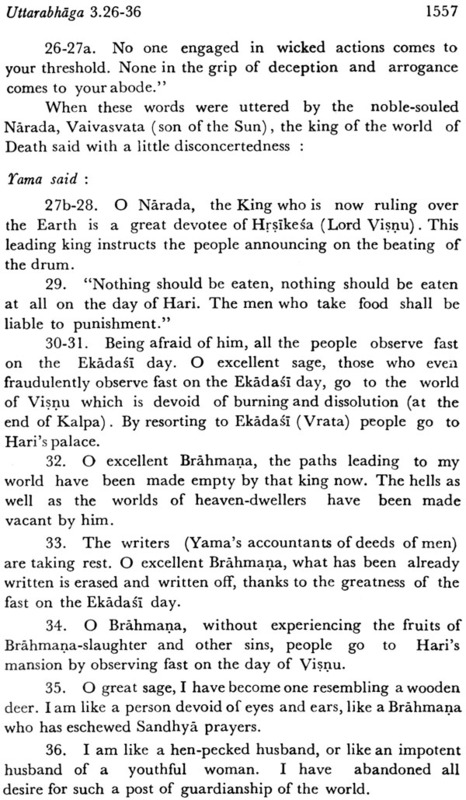 King Yama Vaivasvata and his people (pitrs). 3. 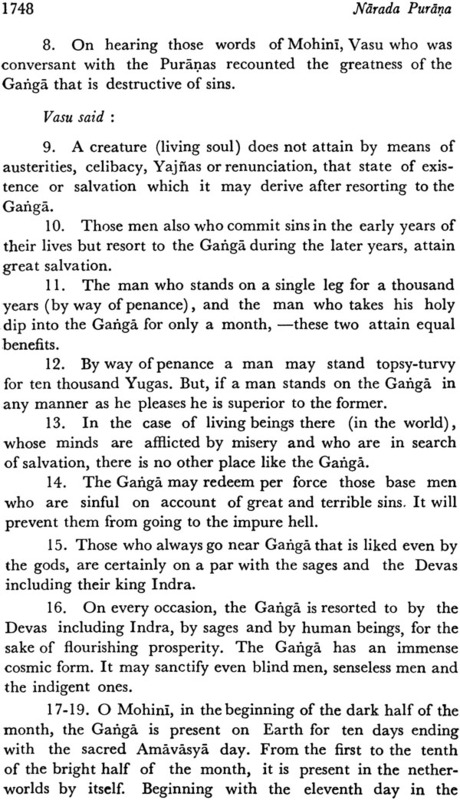 King Varuna Aditya and his subjects the Gandharvas. 5. King Arbuda Kadraveya and his subjects the serpents. 6. 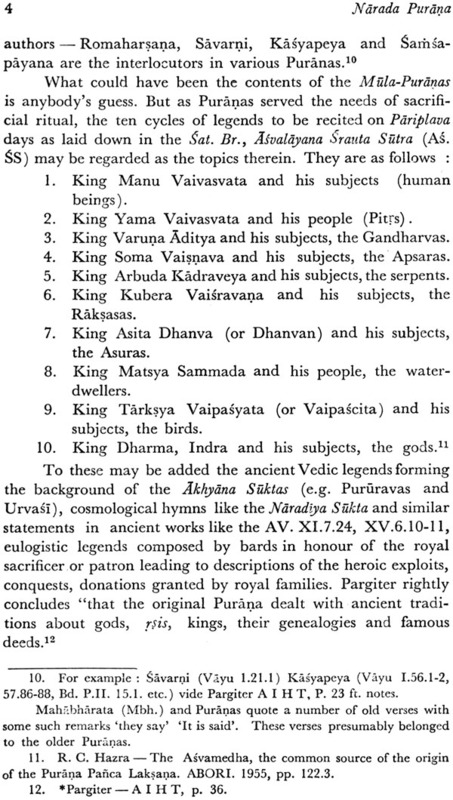 King Kubera Vaisravana and his subjects the Raksasas. 7. 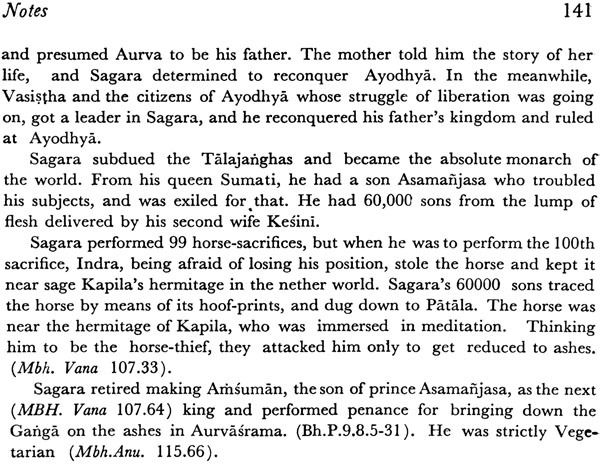 King Asita Dhanva and his subjects the Asuras. 8. 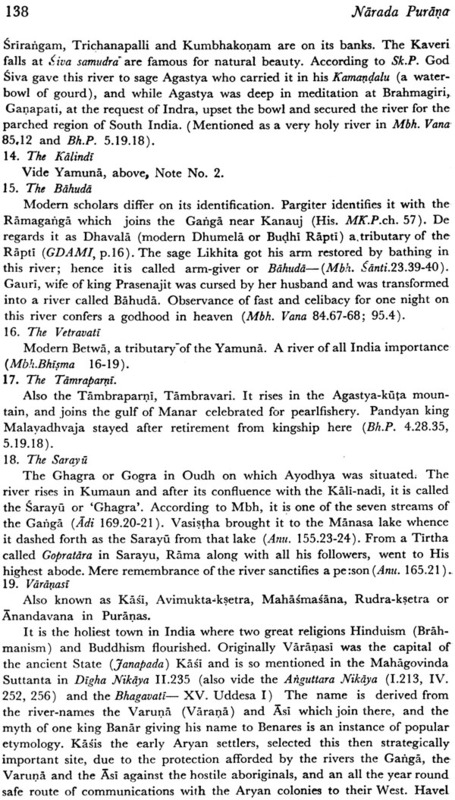 King Matsya Sammada and his people the water dwellers. 9. 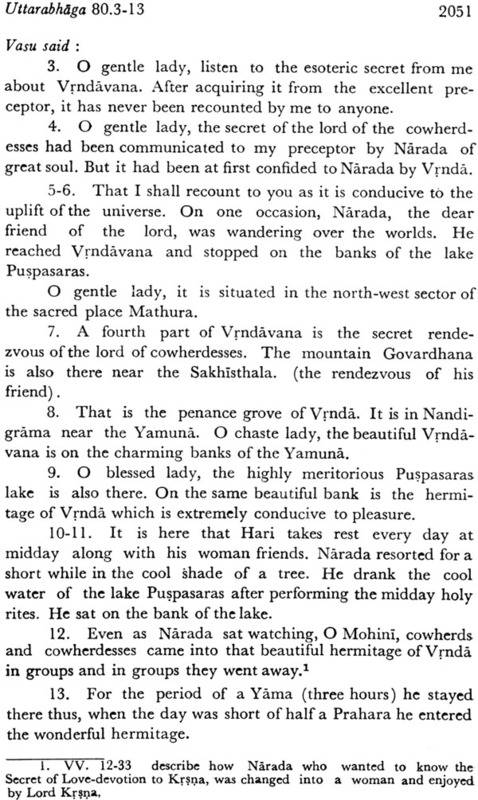 King Tarksya Vaipasyata (or Vaipascia) and his subjects the birds. 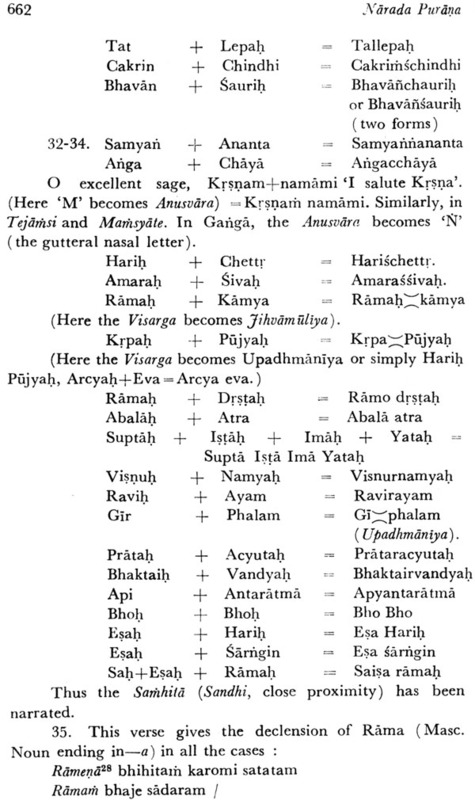 To these may be added the ancient Vedic legends forming the background of the Added the ancient Suktas cosmological hymns like the Naradiya Sukta and similar statements in ancient works like the AV. 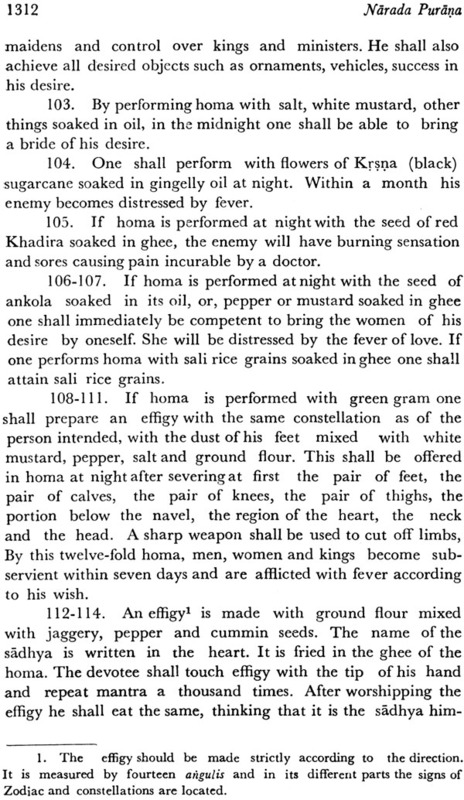 XI.7.28, XV.6.10-11 eulogistic or patron composed by bards in honor of the royal sacrificer or patron leading to descriptions of the heroic exploits conquests donations granted by royal families Pargiter rightly concludes that the original Purana dealt with ancient traditions about gods rsis kings their genealogies and famous deeds. 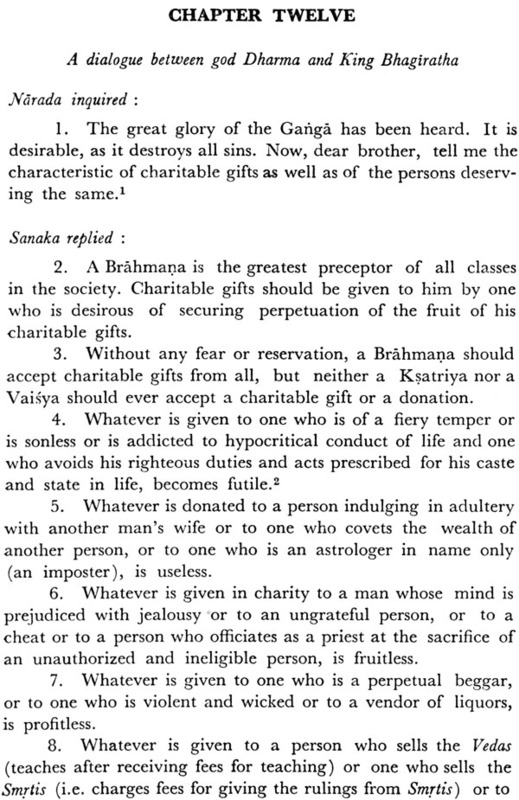 These topics later developed in the famous five characteristics of Puranas viz. 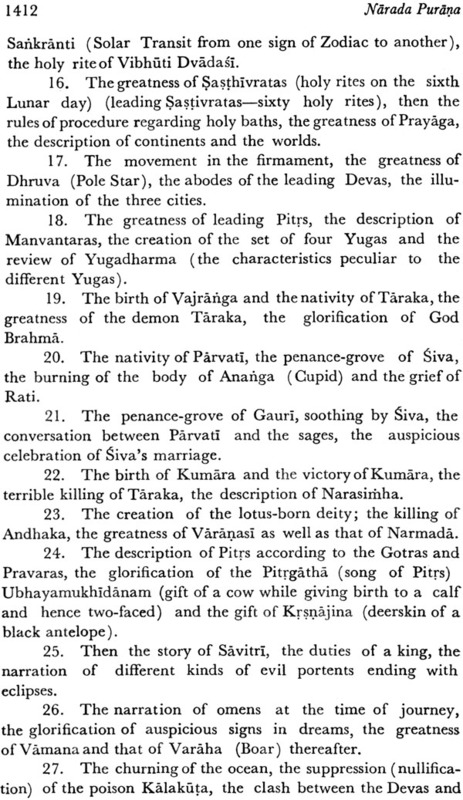 original creation re-creation after deluge genealogy, Mavantaras and accounts of dynasties of kings and sages. 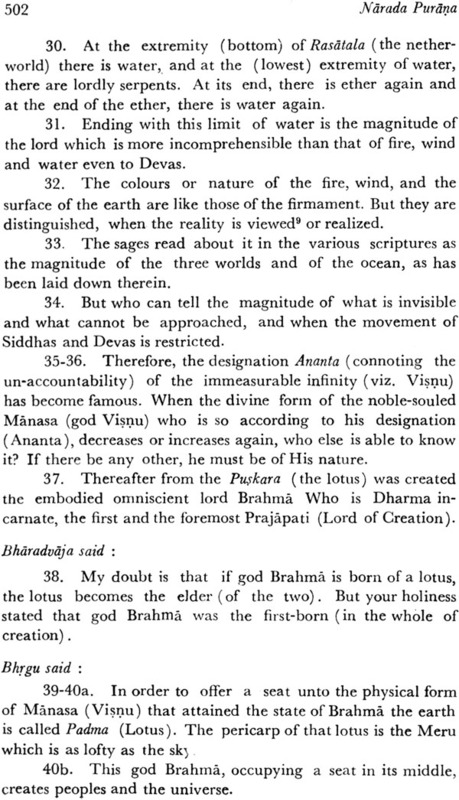 But pargiter’s presumption that the Ur-Purana had all the characteristics of later Puranas is not adequately substantiated and hence not acceptable. 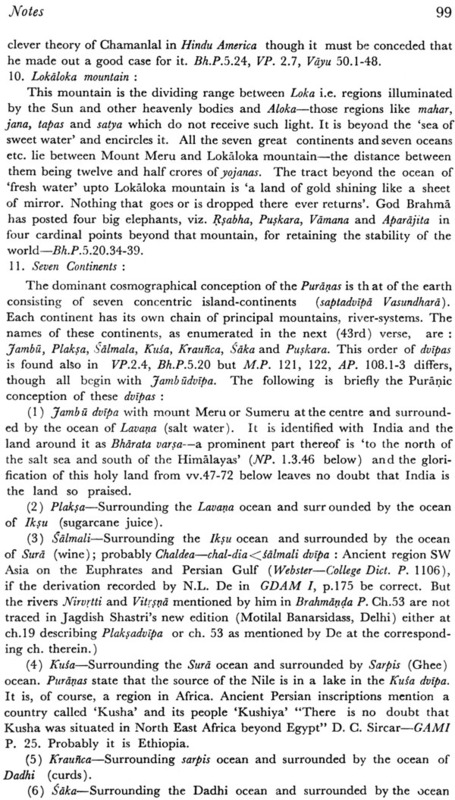 What may be the period of the proliferation of the Ur-Purana in four Mula Puranas? 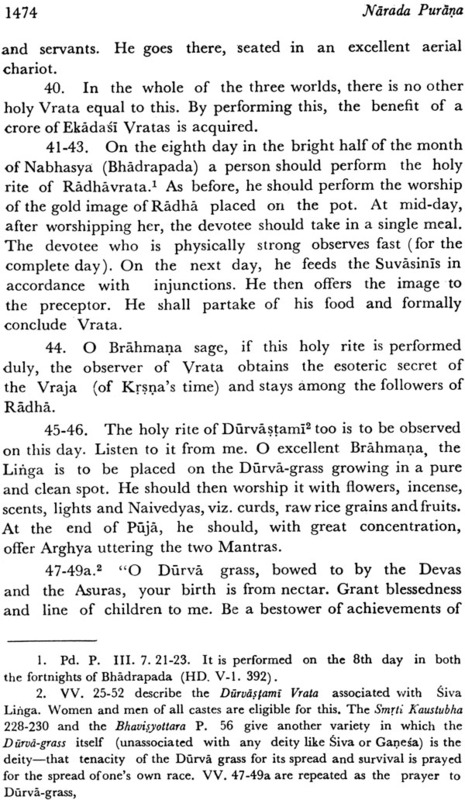 Even if Ugrasravas Savarni and others are regarded as the direct disciples of Romaharsana whom Vyasa taught his Purana Samhita for the establishment of four different traditions of these Puranas from Vyasa would be necessary. 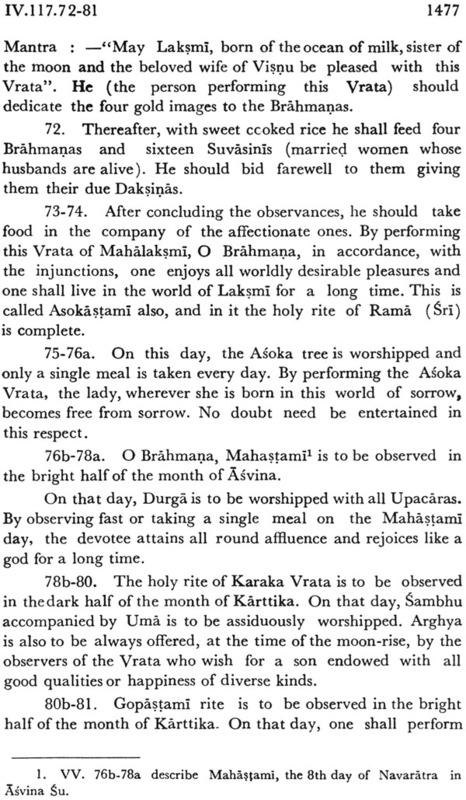 If the normally acceptable date of Vyasa is 950 B.C. 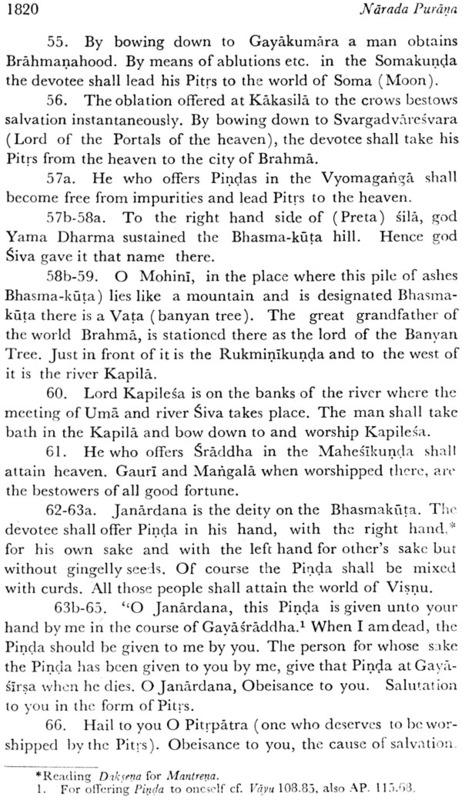 the Mula-Purana may be assigned to Circa 850 B.C as the probable date of their recognition as independent Mula-Purana. 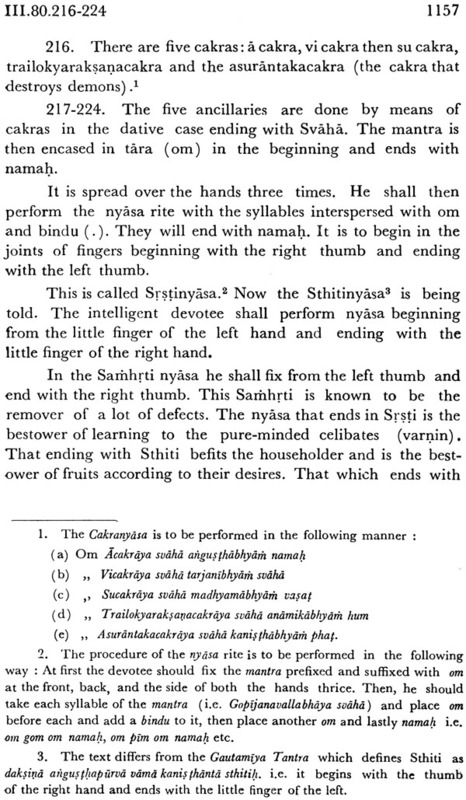 The use of Puranami in the Taittriya Aranyaka II-10 in manu III 232 and Yaj. III. 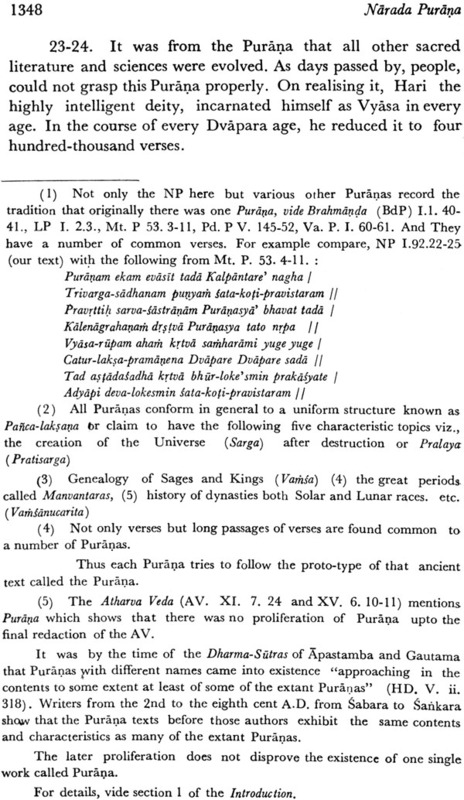 189 indicate that the number of Puranas then was 3 or more VP’s statement of being based on Mula Puranas shows that these existed at least upto the 3rd cent A.D. The present volume like all other volumes is encyclopedic in character. 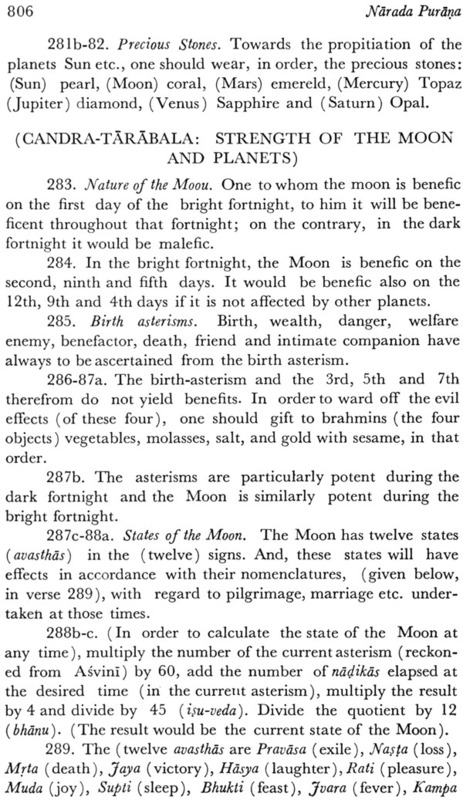 It deals with miscellaneous topics such as religion philosophy Veda and its ancillaries Etymology of Vedic words, Grammar Mathematics and Astronomy Horoscoy and Natural astrology and prosody. 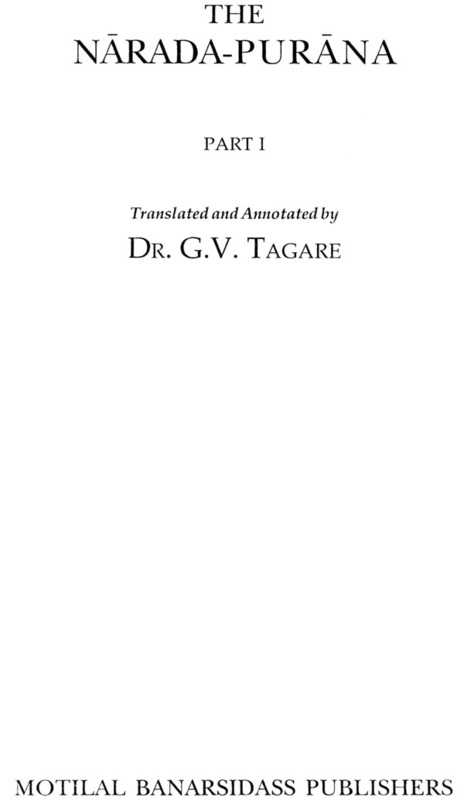 In Cosmogony it describes the process of creation of the Universe. 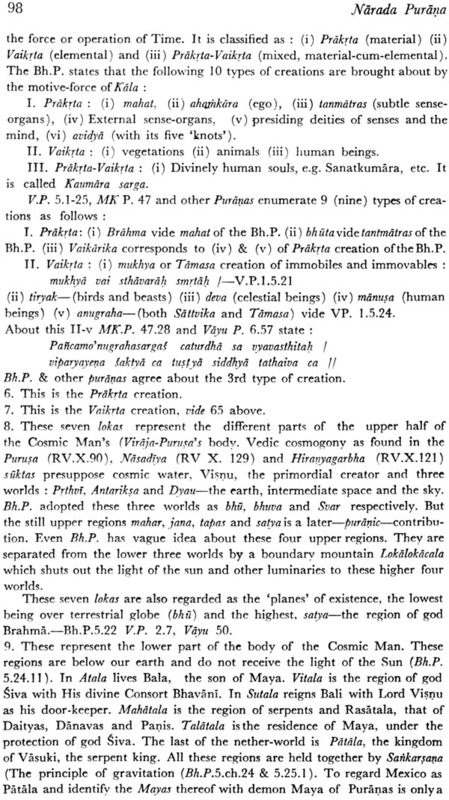 In cosmogony it describes the process of creation of the Universe. In Religion and ethics it places emphasis on the performance of duties of one’s own profession in relation to one’s stage of life. 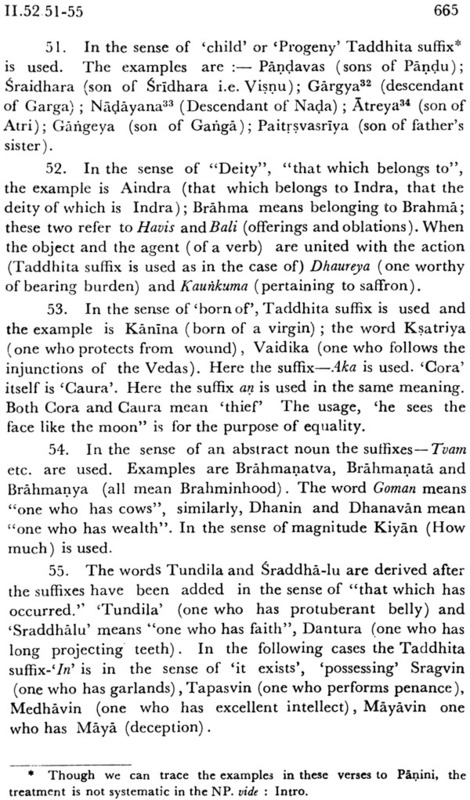 In etymology it gives the derivation of Vedic words. In Grammar it presents a general idea of the subject. 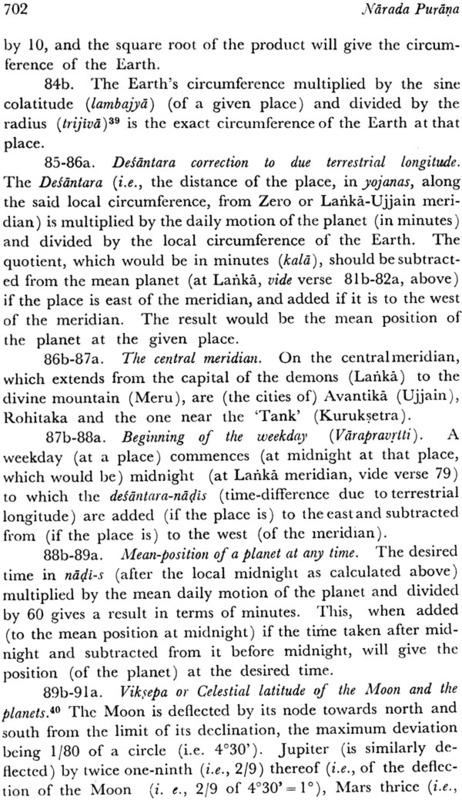 In prosody it prescribes rules for the metre by the method of Prastara. 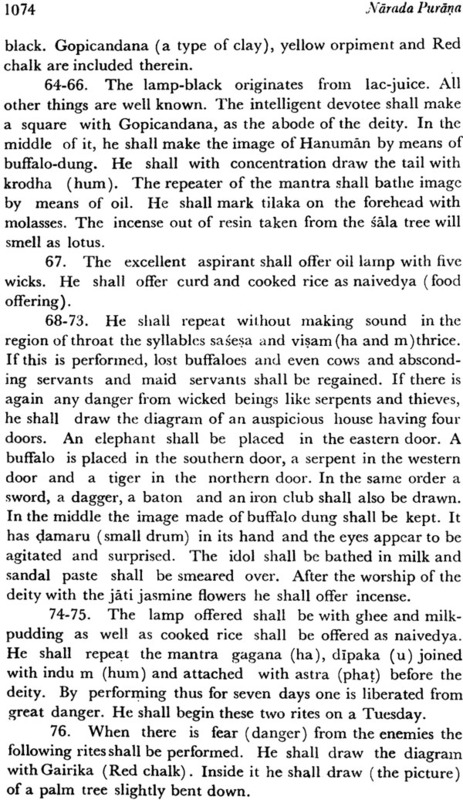 In Jyotisa it explains the essentials in details. 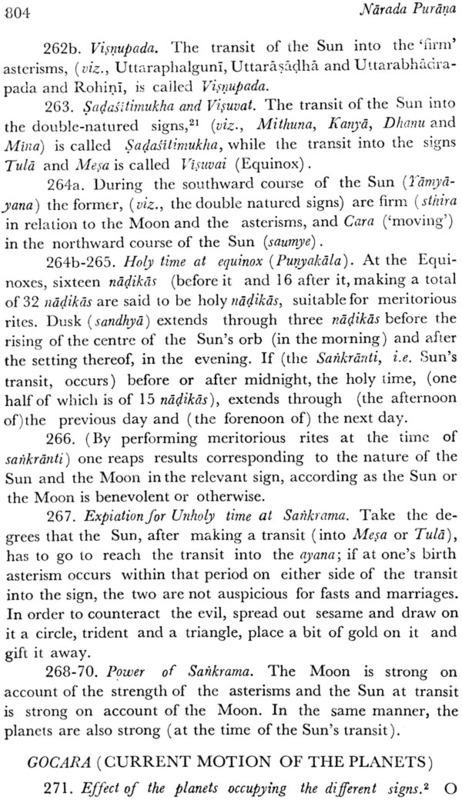 In occult science it prescribes ritual for attaining particular ends. 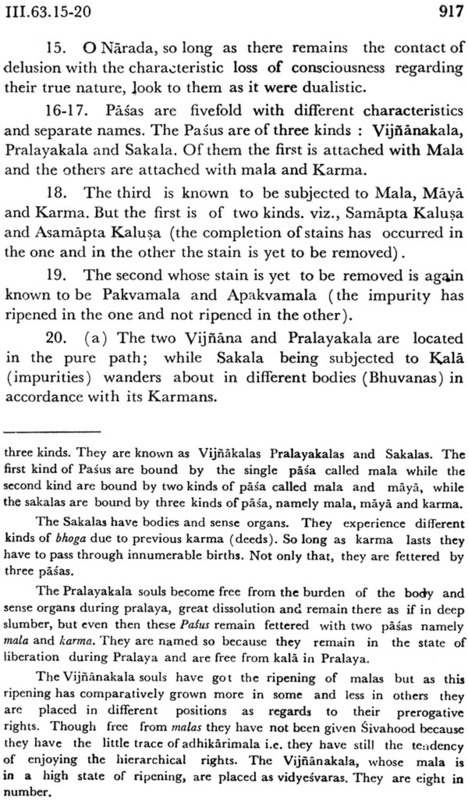 In spirituality it provides a discourse on meditation gives an exposition of dharmas leading to liberation narrates the story of Bharata and contains the dialogue between suka and Janaka as well as Suka and Sanat Kumara on detachment renunciation and kindred ways of life which bring emancipation to the seeker in this very existence. This Vol. 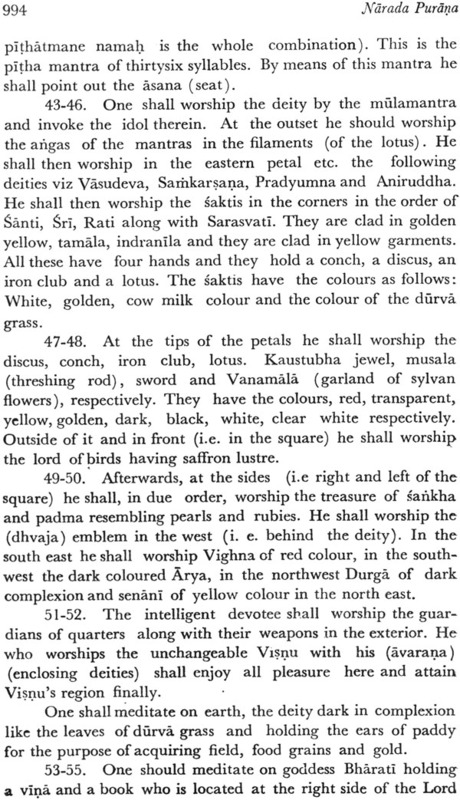 as the analysis of contents would show deals exclusively with the Tantric Ritual connected with the worship of deities. 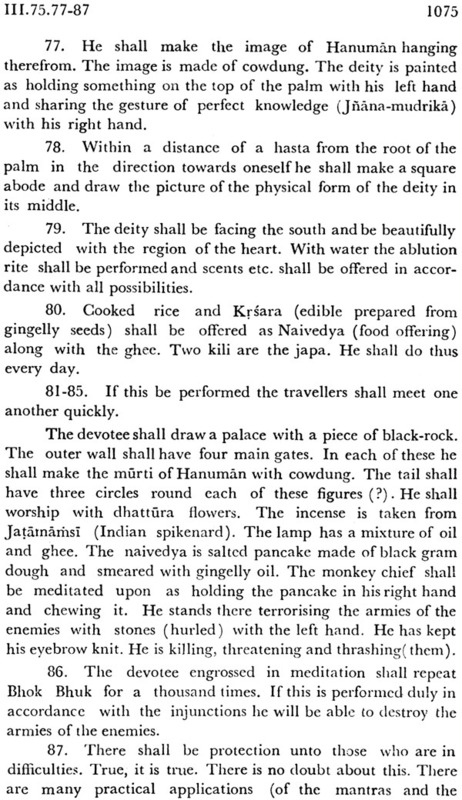 It presents in an elaborate way the method of worship of the deity, particularly the mantra, Nyasa, metre, sage, mudra, dhyana, etc in relation to worship. 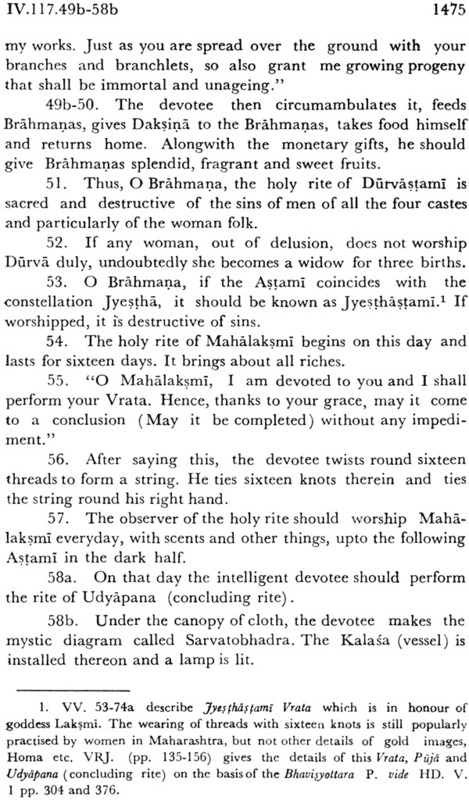 Though the deity to be worshipped is pasupati emphasis is placed on the worship of his saktis the different manifestations of his power such as Tara Kali, Bhairavi, lalita Bhuvanesvari, Durga, Sarasvati Savitri and mahalaksmi. 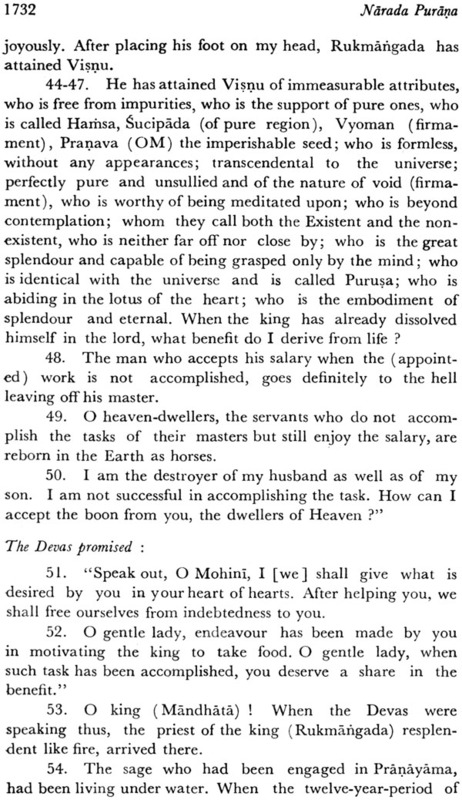 The aspirant can undertake this worship both for the material and spiritual ends. 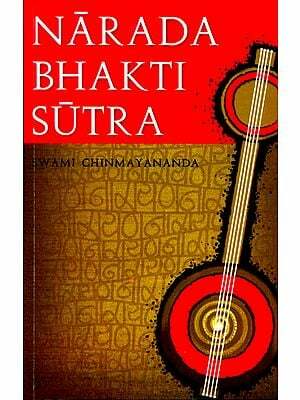 The present translation is based on the Sanskrit text of the Narada Purana as published by Messrs Ksemaraja Sri Krsnadasa Venkatesvara press Bombay. 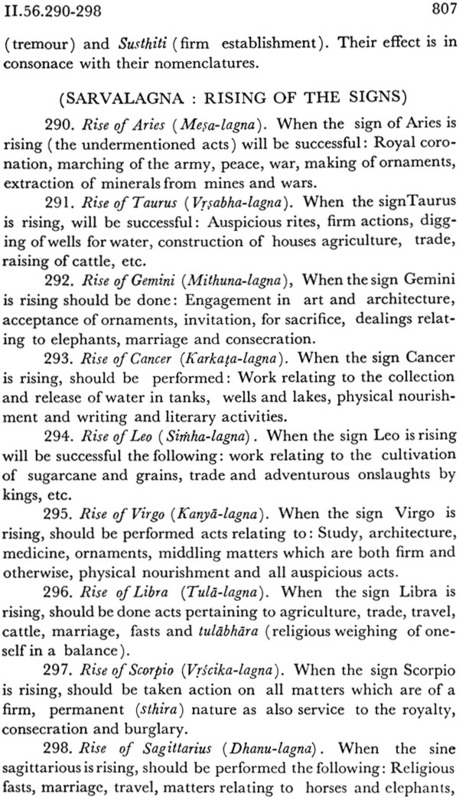 This text constructed on the collation of manuscripts and supported by the evidence of citations found in the smrti granths is fairly accurate. 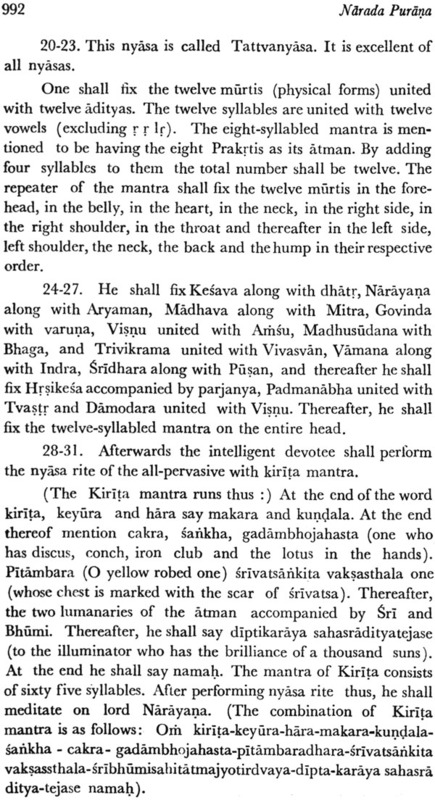 For the general information about this purana the reader is asked to consult Dr. G.V. 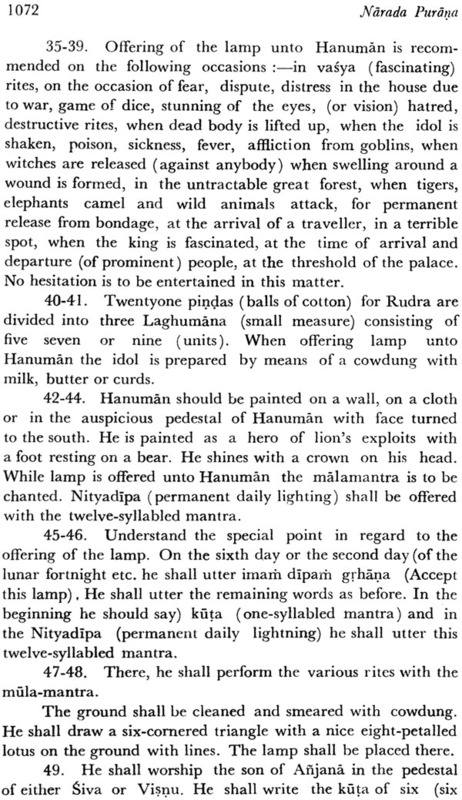 Tagare’s Scholarly introduction prefixed to Part I of this Purana. 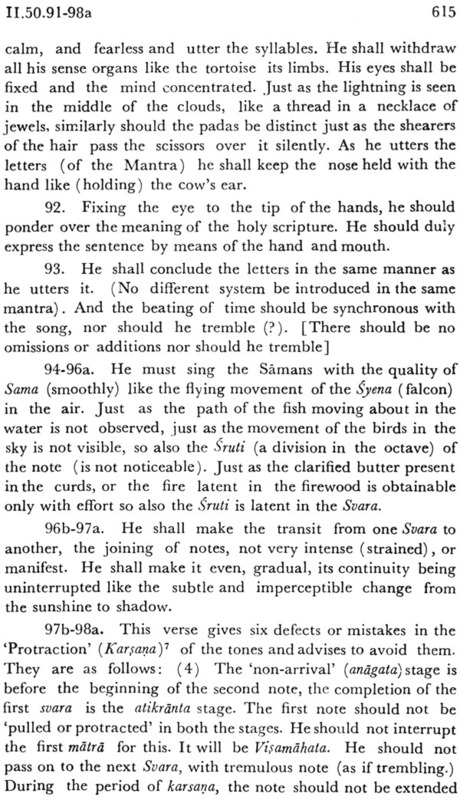 For the difficulties faced by the learned translator of the present part the reader is referred to his note in the preliminary portion which also contains preface abbreviations contents and their analysis. This Vol. 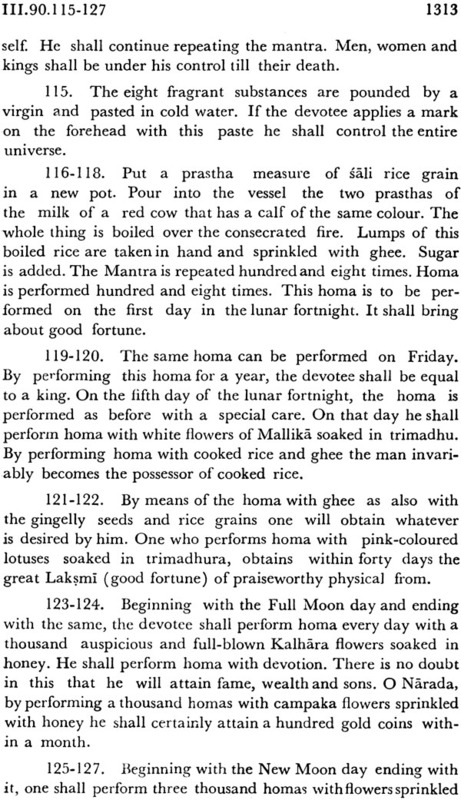 as the contents would show is historically very important as it records the detailed of each Mahapurana as it stood before the final redaction of the present NP. 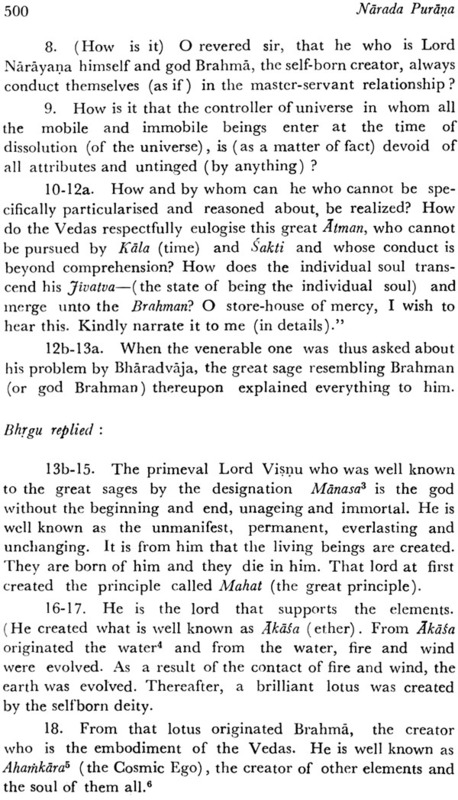 Though as many as sixteen chapters deal with this subject the problem remains the same inasmuch as they do not cover all the contents of all the Puranas and at the same time the information regarding interlocutors is also at variance with the published editions of these Puranas. 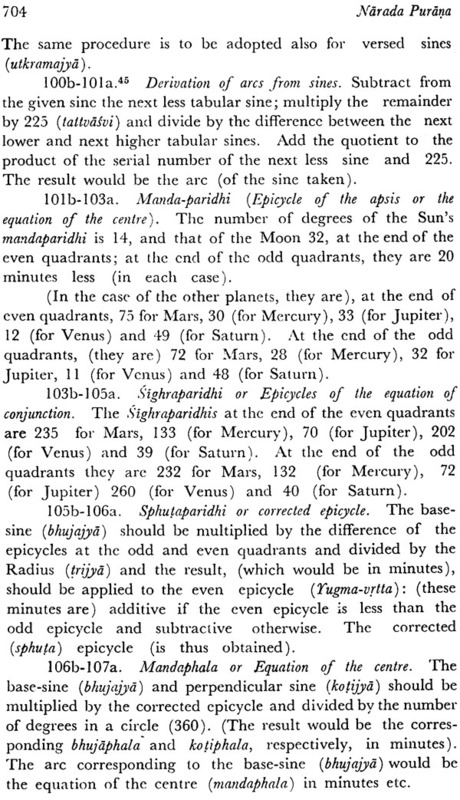 Here is scope for further research. 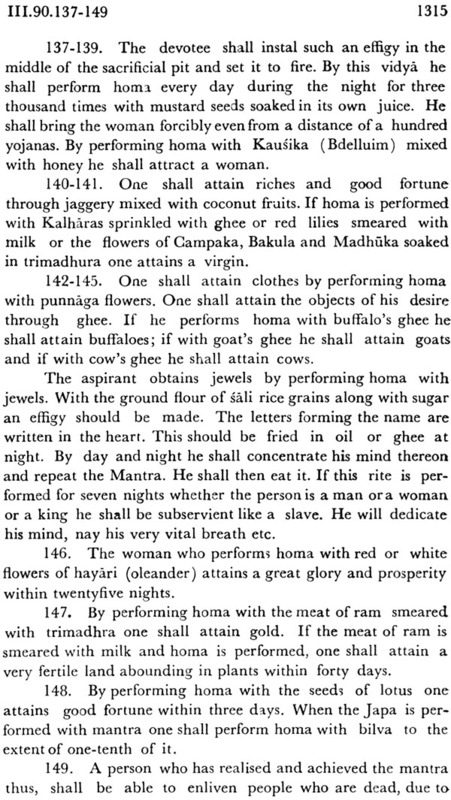 Besides recording information on the contents of the Purans this vol. presents the detailed exposition of Vratas tithi wise. 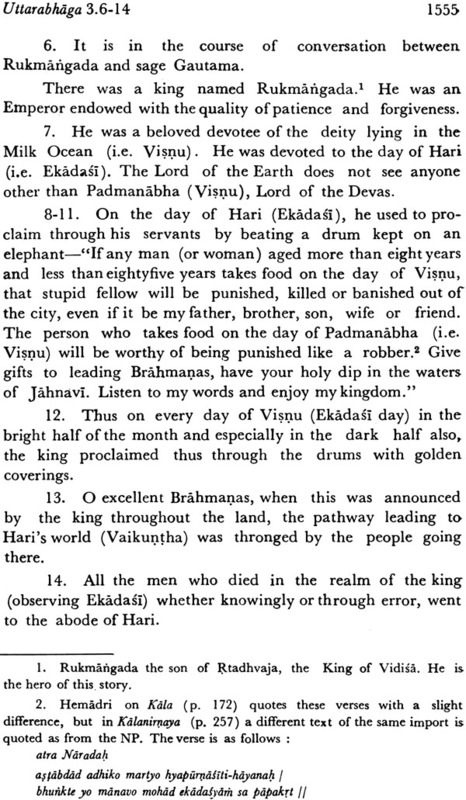 The exposition covers as many as sixteen chapters of the fourth Pada and thirty seven chapters of the Uttarabhaga are devoted to the glory and greatness of Ekadasi vrata that falls on the 11th day of the bright half and the dark half of each and every month. 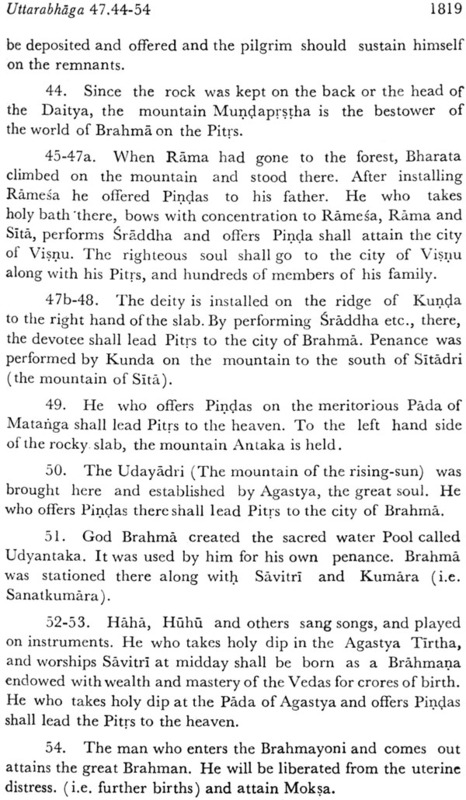 These chapters narrate a story in a very interesting way how Yama the god of death had to close his office as all men being compelled to observe Ekadasi by Rukmangada went straight way to heaven how Yama approached brahma and requested him to lure king Rukmangada to drop Ekadasi vrata Brahma agree hit upon a plan produced an enchantress to carry out the plan and how the enchantrees Mohini had finally failed. 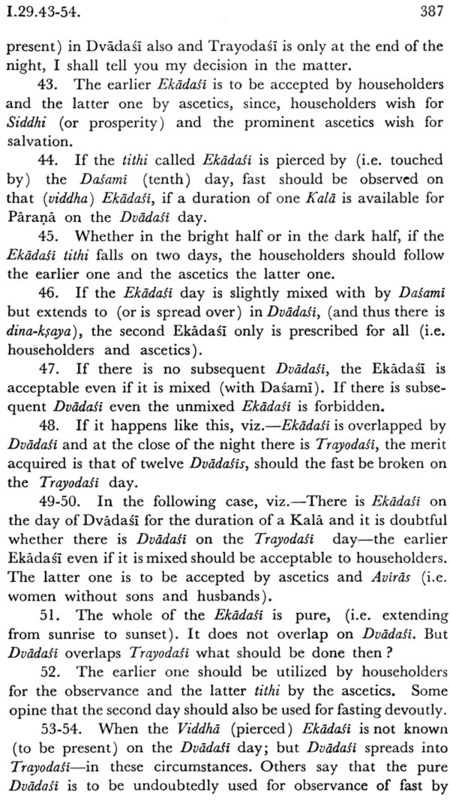 The section emphasizes the efficacy of ekadasi vrata which continues to be popular among the Vaisnavas even today. 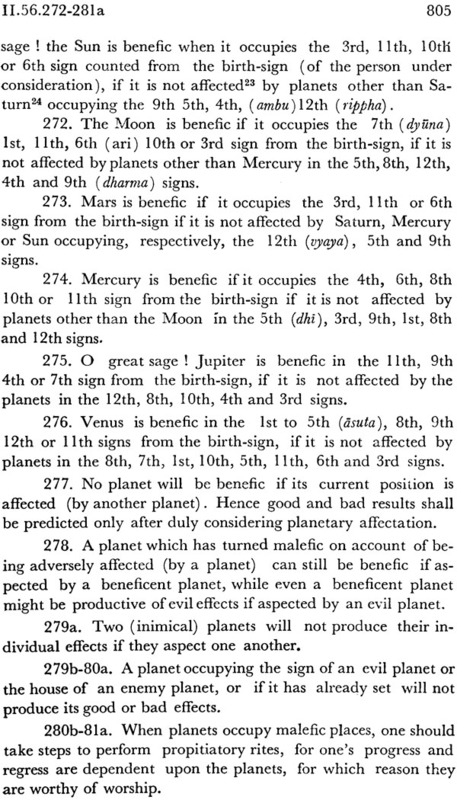 For the general information about this purana the reader is asked to consult Dr. G.V. 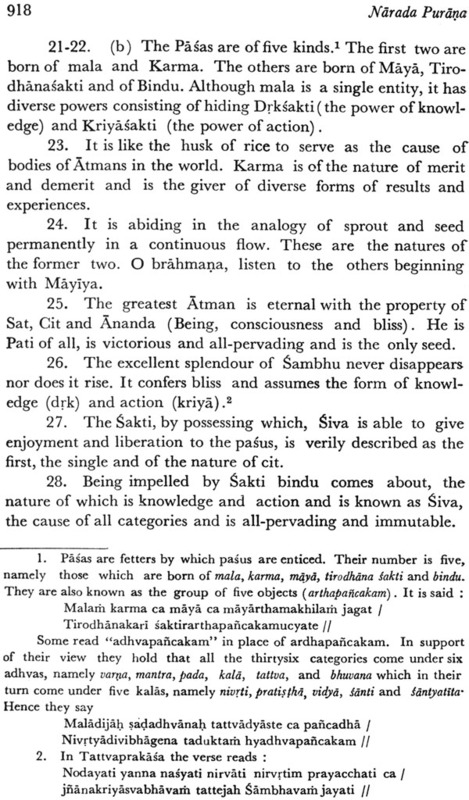 Tagare’s Scholarly introduction prefixed to Part I of this Purana. 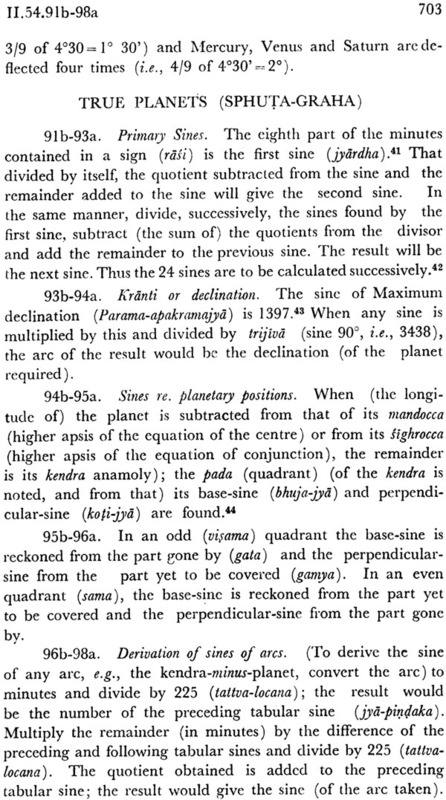 The Preliminaries prefixed to the present Part include preface, abbreviations and contents. 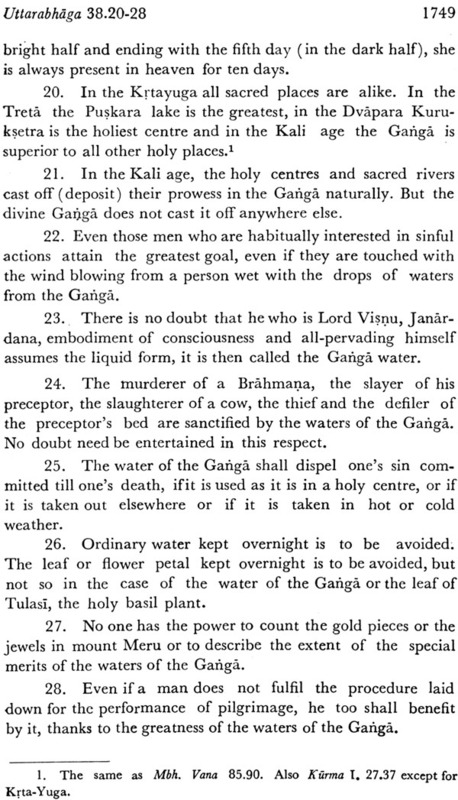 The glossary and Index will follow this part and be suffixed to Part V which competes the Purana. 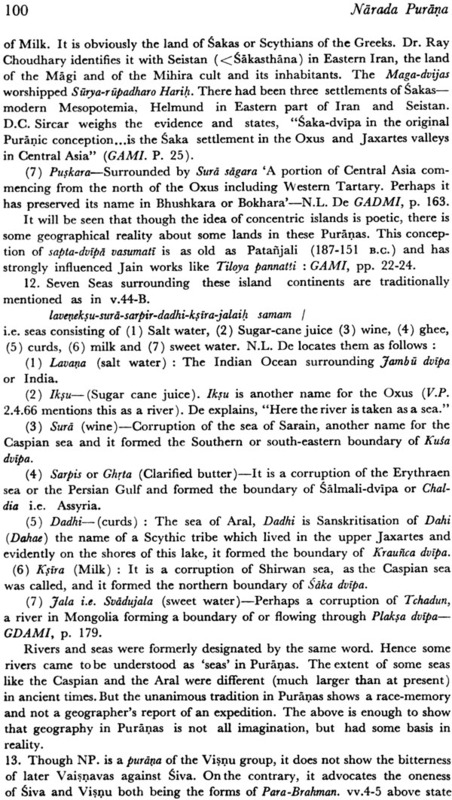 The present volume as the contents would show deals primarily with the description of sacred rivers mountains cities and centres. 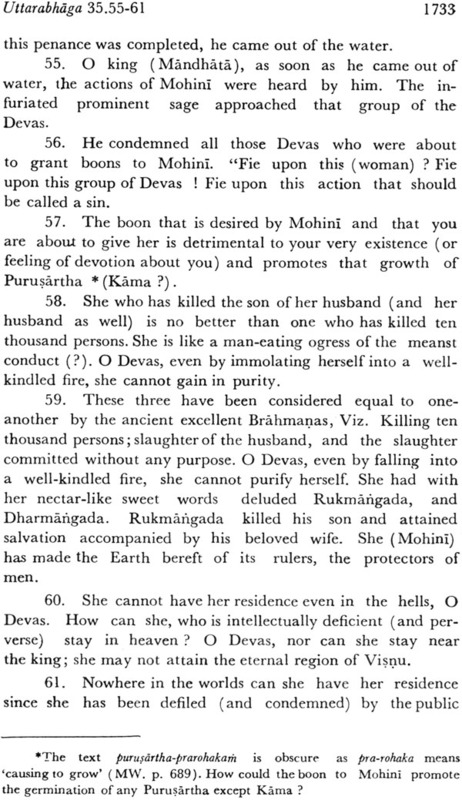 The subject of Vrata in the context of Ekadasi was treated in the previous part of this Purana which records how Mohini was created by Brahma at the instance of Yama lord of hells how she married king Rukamgada and persuaded him to sop the observance of Ekadasi by the people of his kingdom how she failed in her mission wrought tragedy in her family was rebuked by her family priest Vasu and after admonition coverted to Vaisnavism. 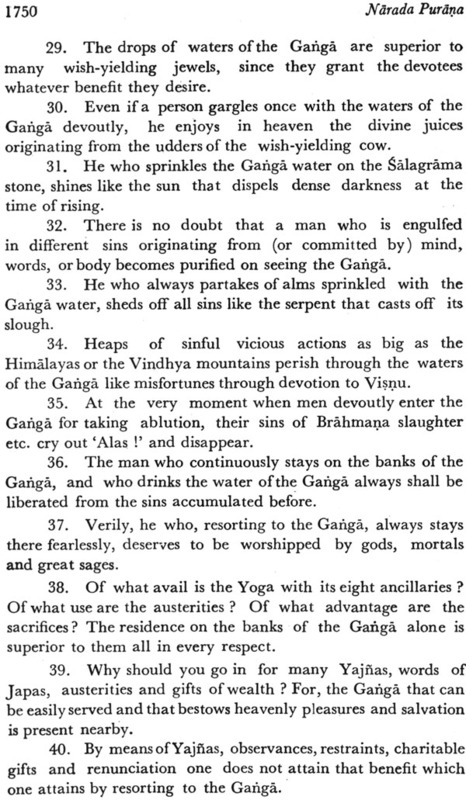 The present part contains Vasu’s discourse on religious topics concerning ablution in and worship of Ganga river and the procedure of charitable gifts such as jaggery cow. 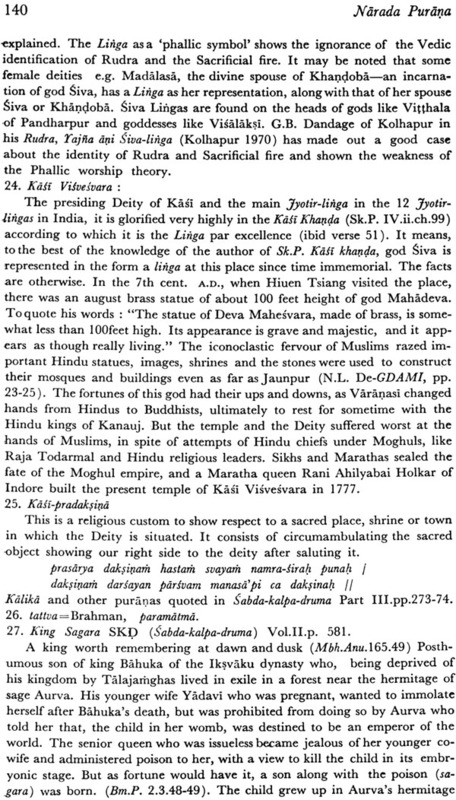 It includes glorification of Gaya and its seven chains of hillocks praise of Varanasi and worship of lingas thereat. 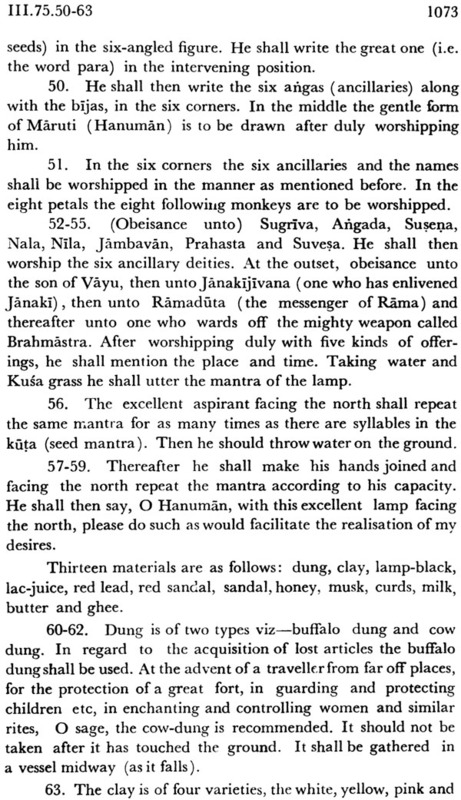 It describes Purusottama ksetra and Panca tirtha one would find herein the panca ratra system of worship of Purusottama and a fully developed stage of Radha cult. There is a graphic description and the mind’s ulimate absorption into the non dual supreme entity. 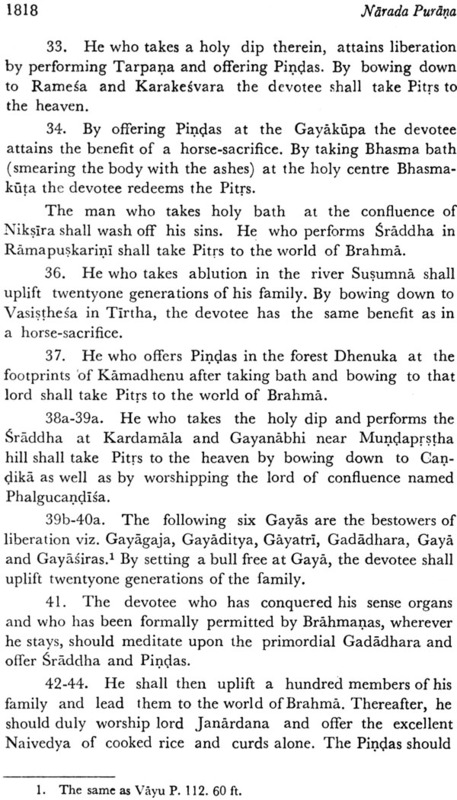 One gets a complete portrait of Kurusksetra and its seven forests of Gangadvara of Kamaksa both as a Sakta pitha and a siddhi pitha Puskara and setu (Ramesvaram). 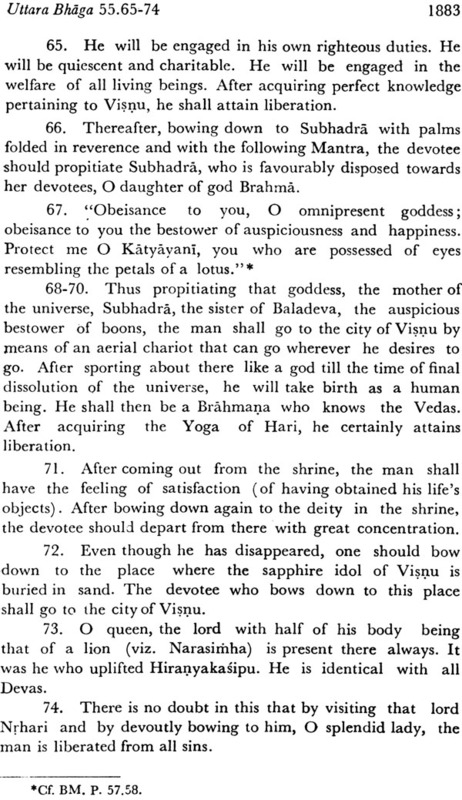 Vasu disclosed the glory of Linga worship merits of Pilgrimage to Tirthas the secret of vrndavana the playground for lord Srikrsna’s amorous sports with the gopis. 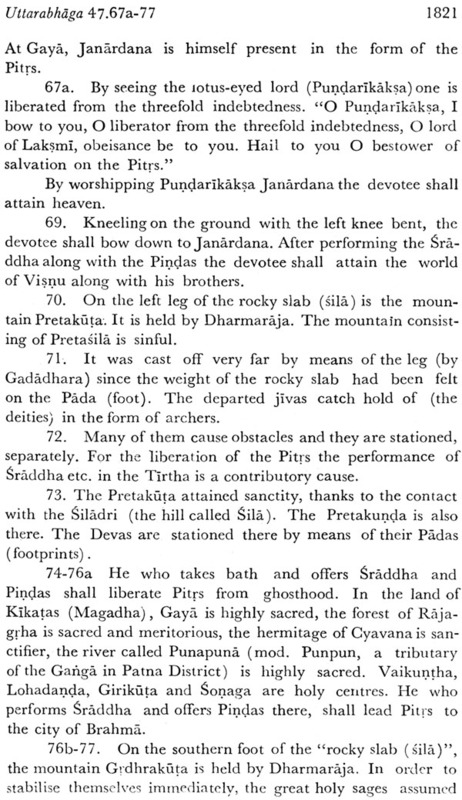 The Purana places emphasis on the merit of Linga worship and of devotion to Visnu. 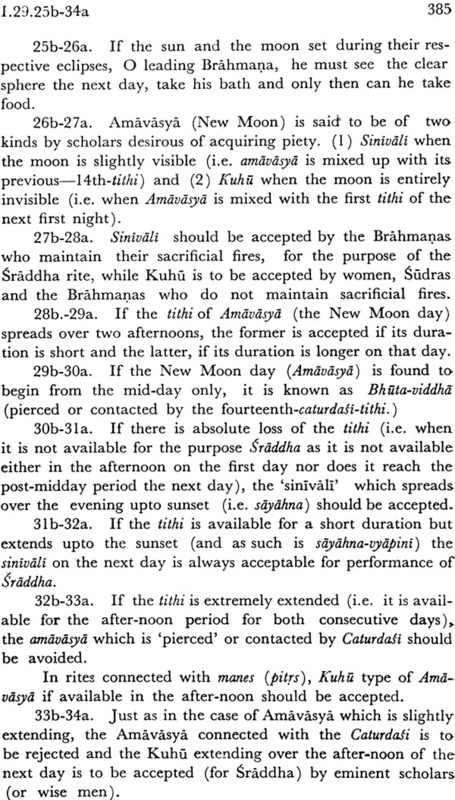 Thus it brings about a fruitful compromise between Saivism and vaisnavism. 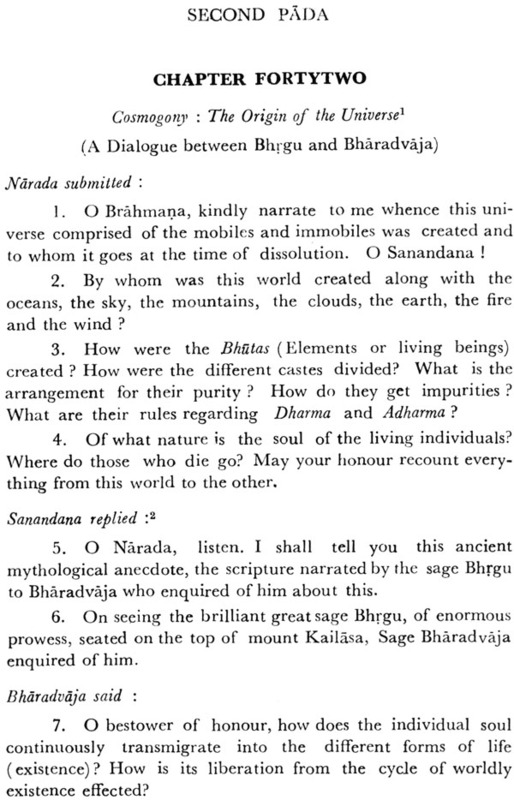 This English translation is based on the sankrit text of the Narada Purana as published by messrs Ksemaraja Sri Krsnadasa venkatesvara, Press, Bombay. 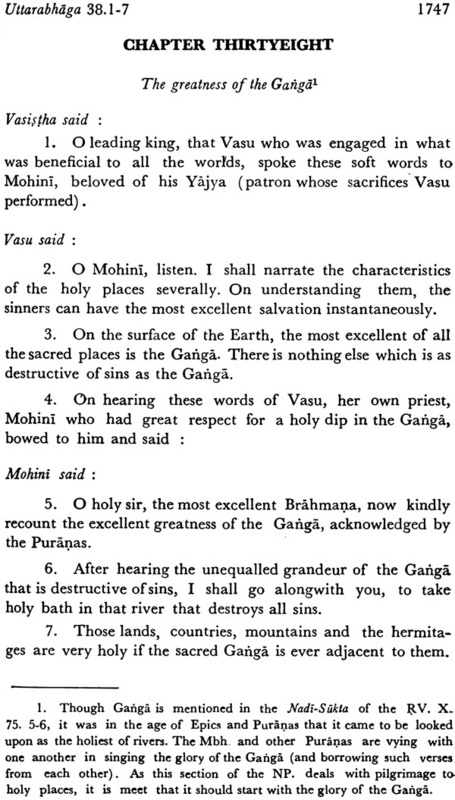 This text constructed on the collation of manuscripts and supported by the evidence of citations found in the smrti and other granthas is fairly accurate. 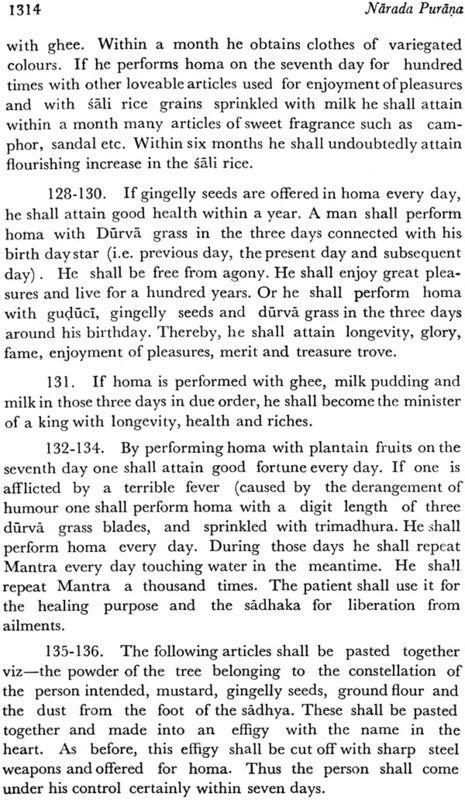 For general information about this Purana the reader is referred to Dr. G.V. 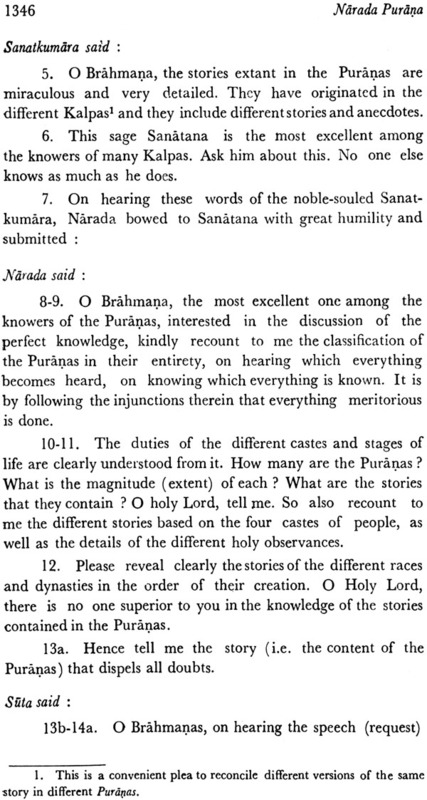 Tagare’s scholarly introduction prefixed to Part I of this Purana. The preliminaries prefixed to the present part include preface, abbreviation and contents. 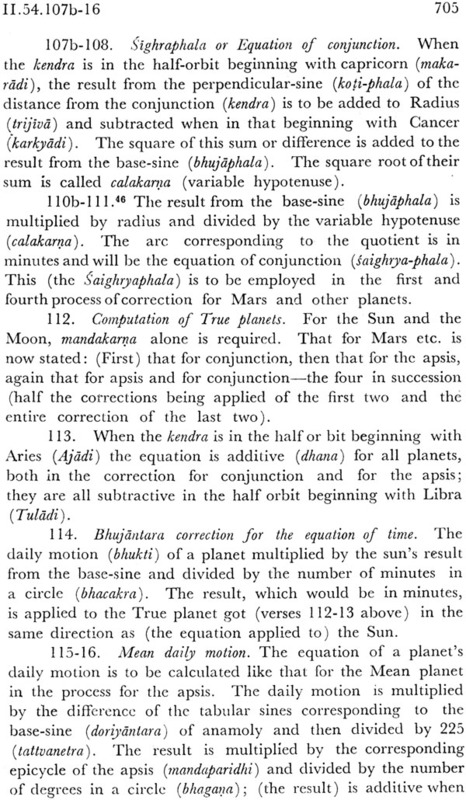 A general Index of the complete Purana has been added to the part.